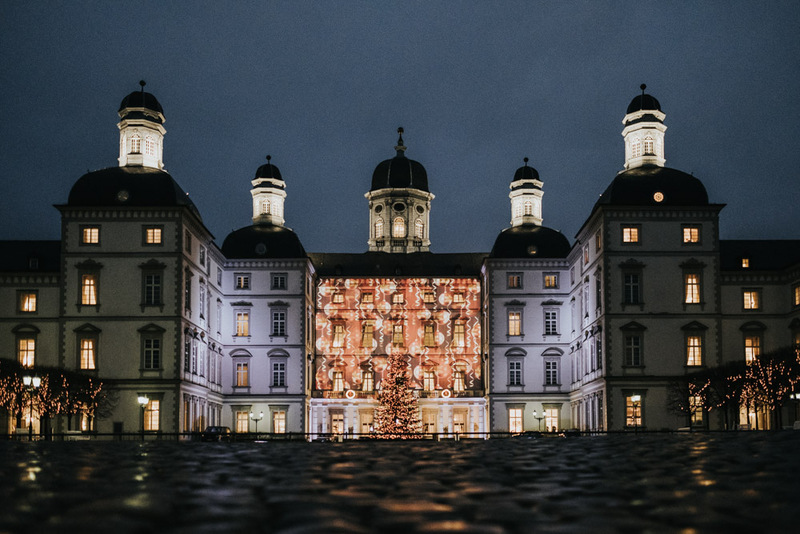 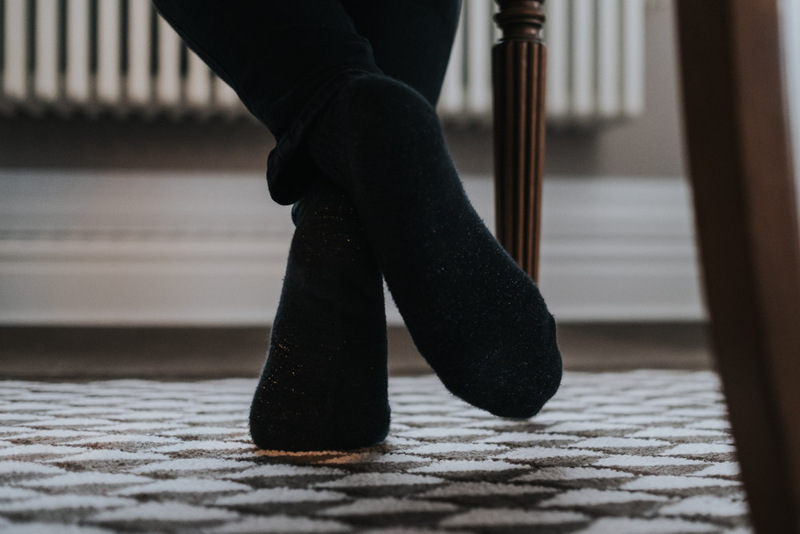 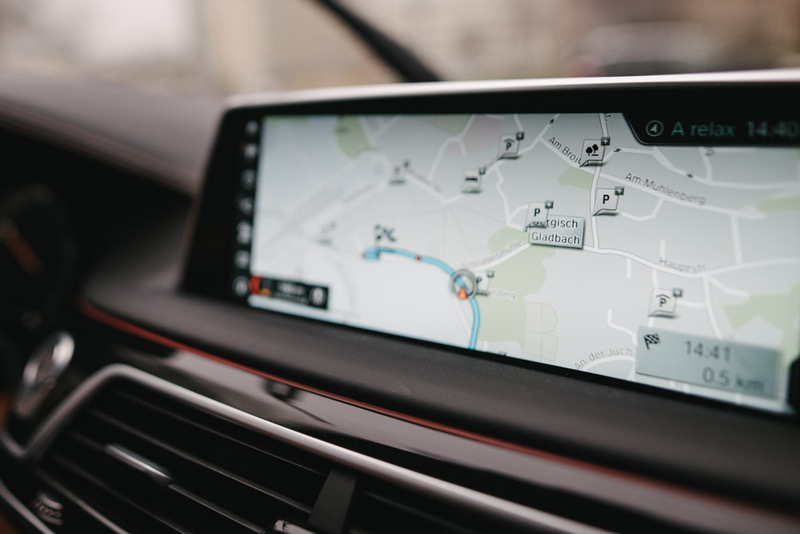 At Christmas time, most people are already on their way towards their family’s home or they are thinking about sitting next to the Christmas tree. 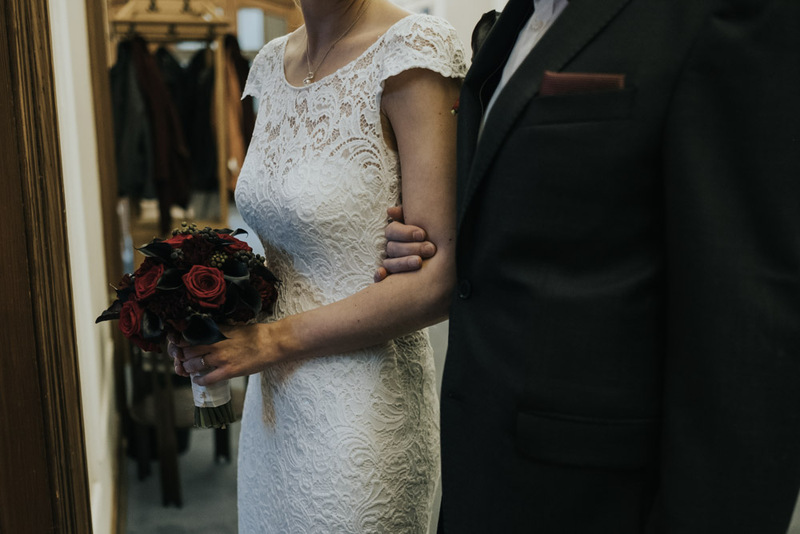 For us, wedding bells were ringing. 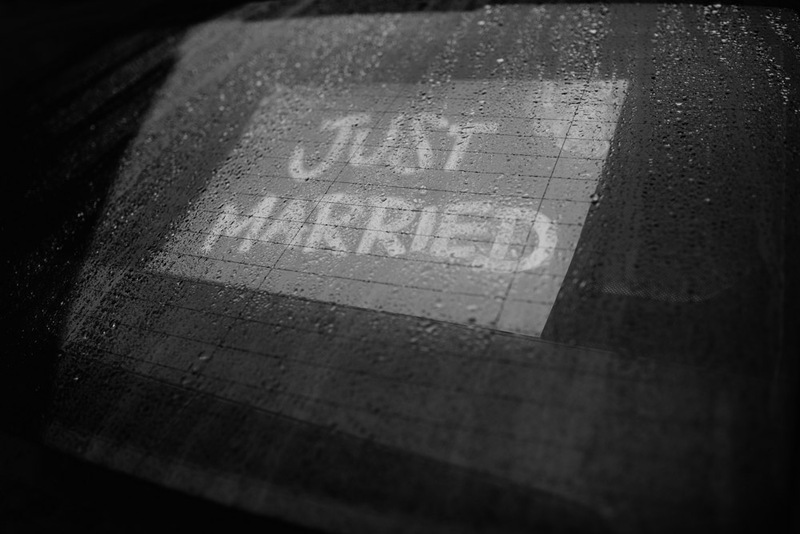 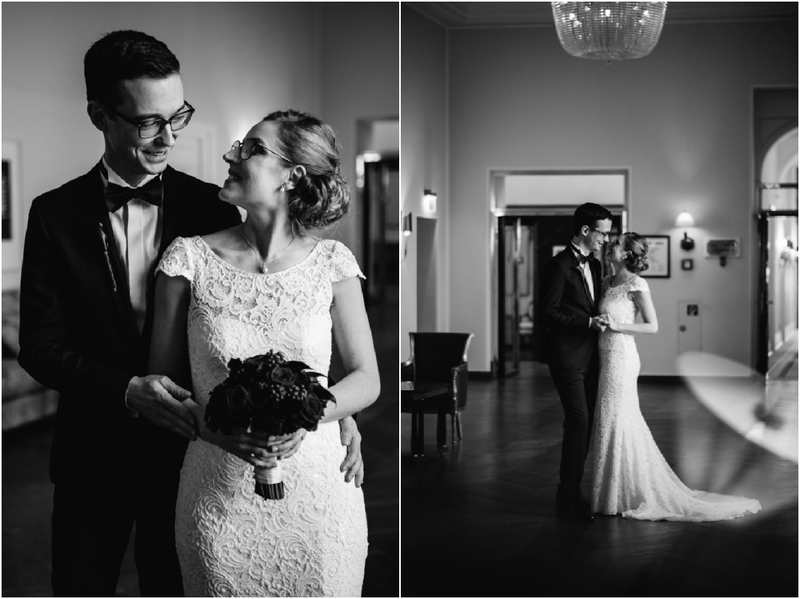 Well, not directly for us, but for Verena and Simon. 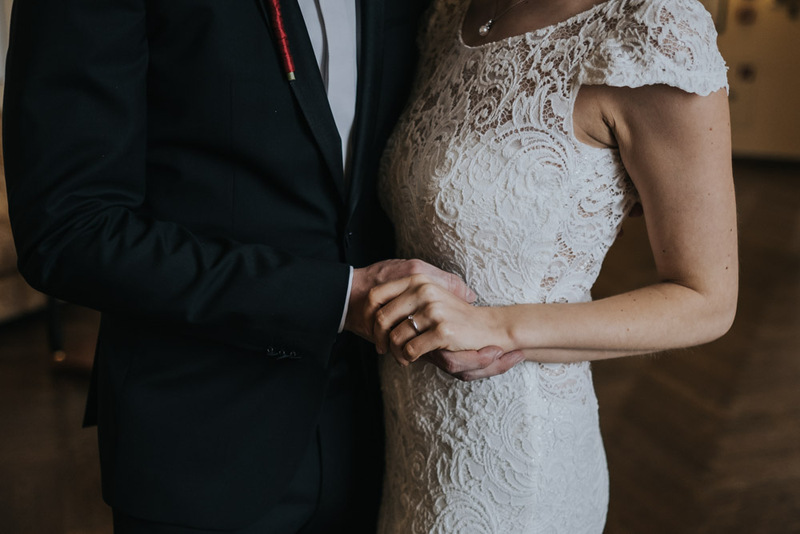 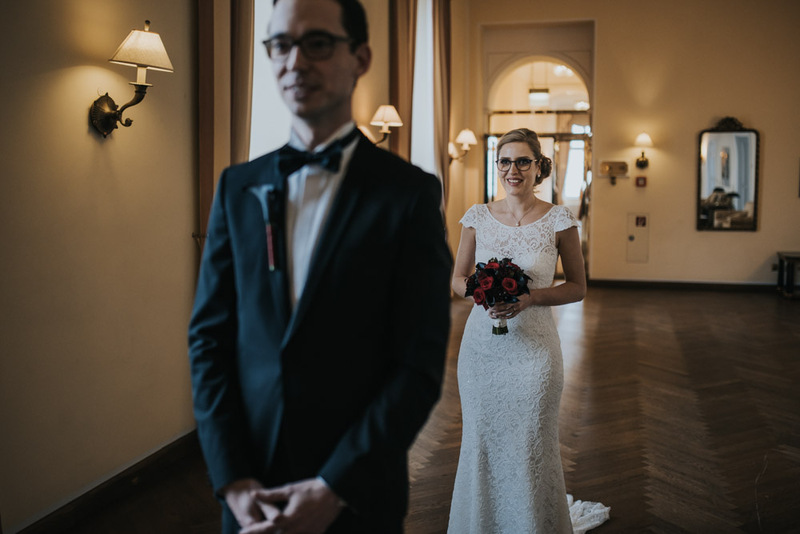 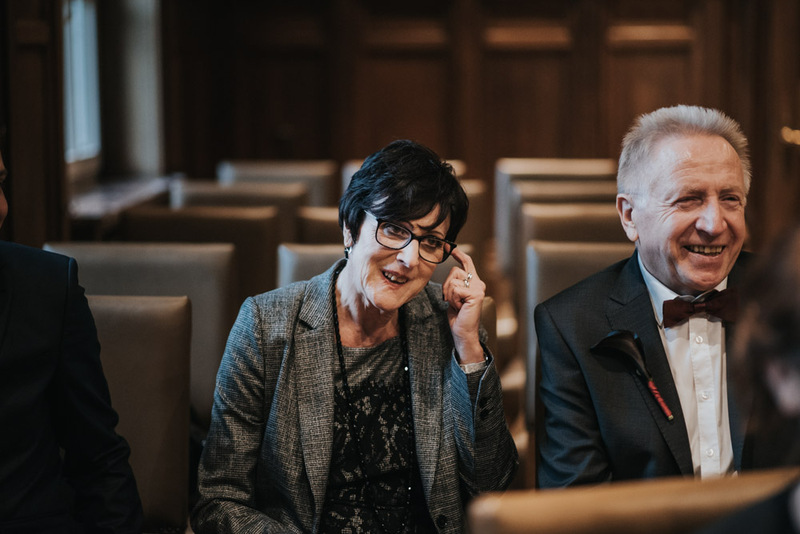 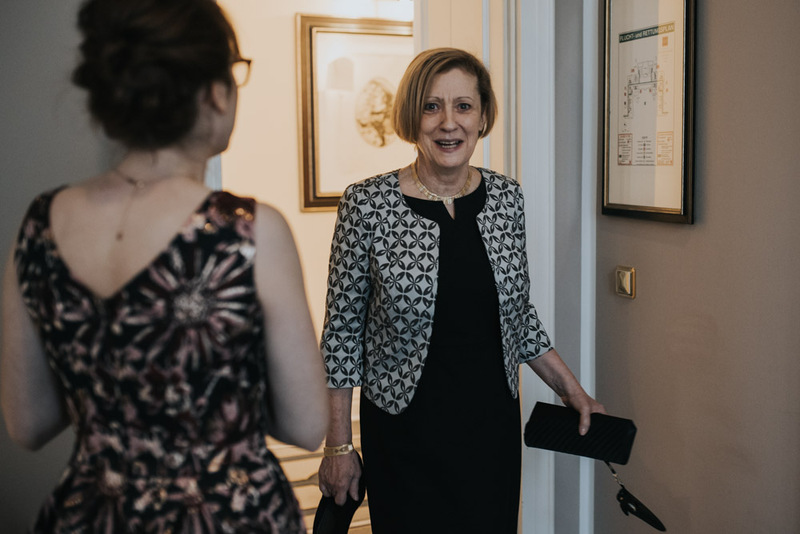 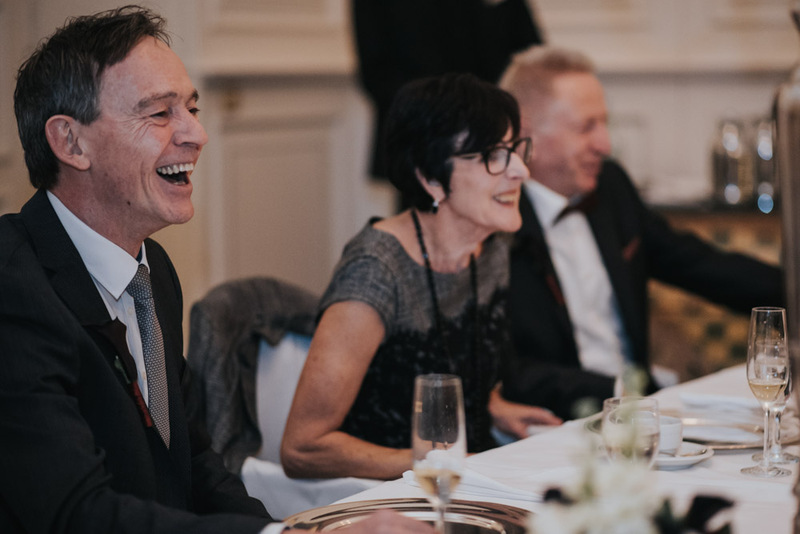 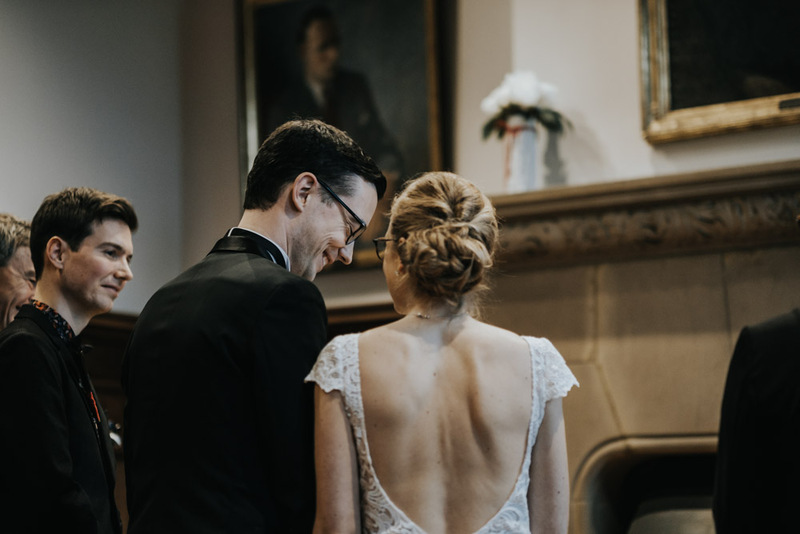 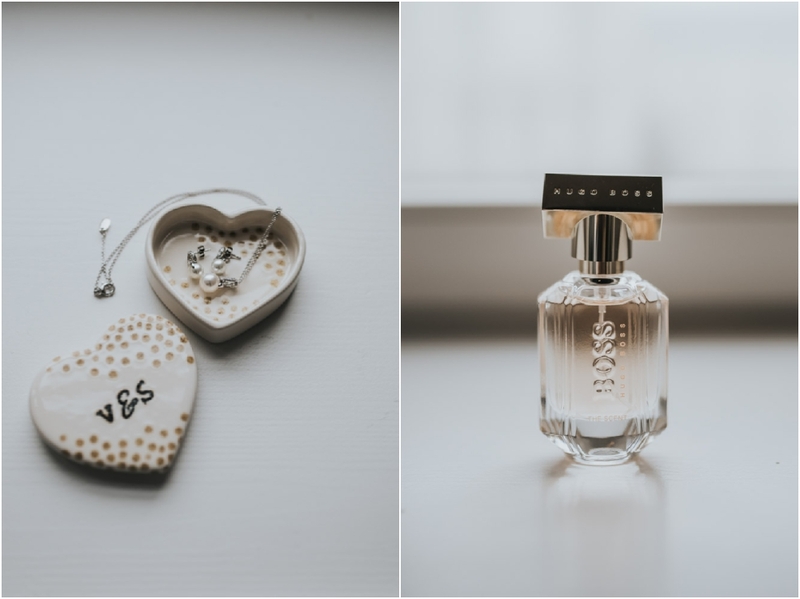 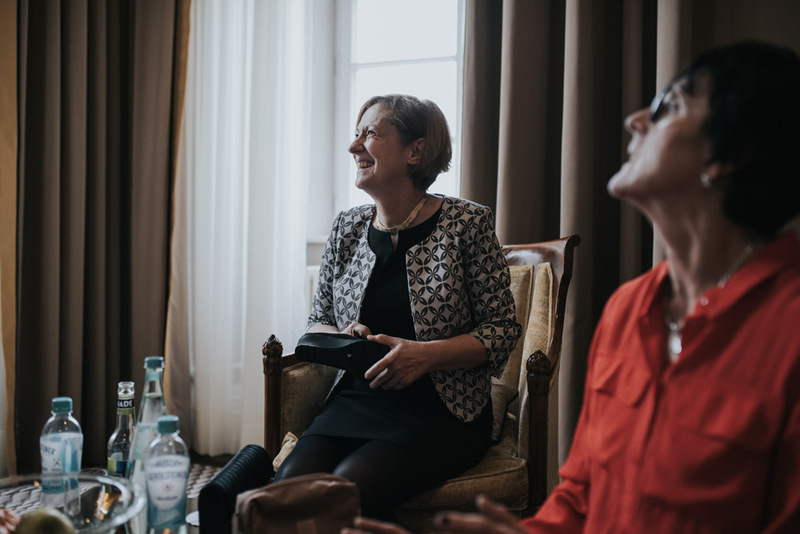 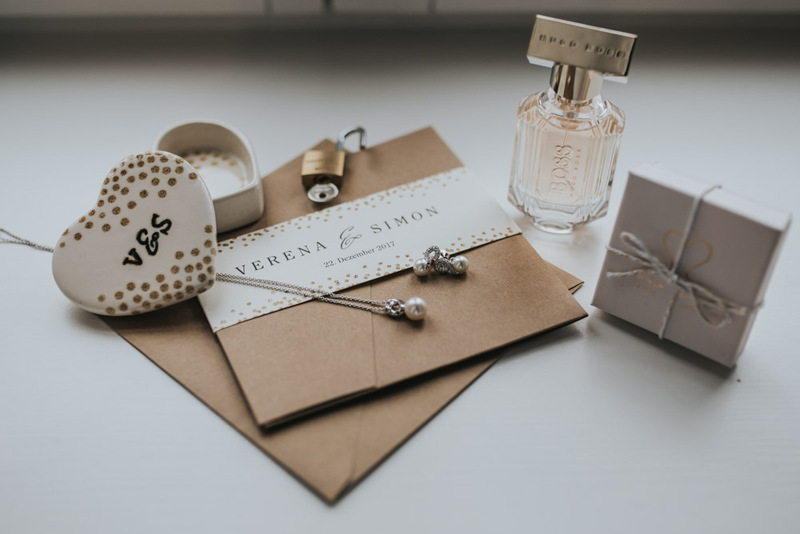 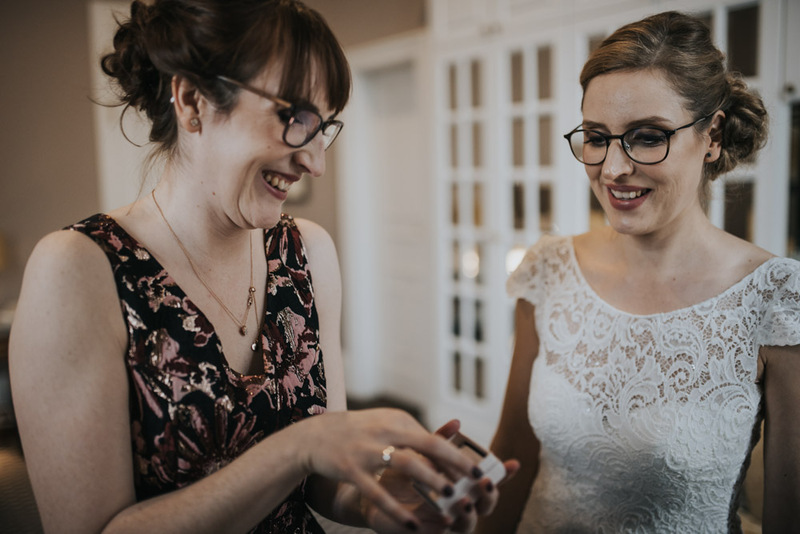 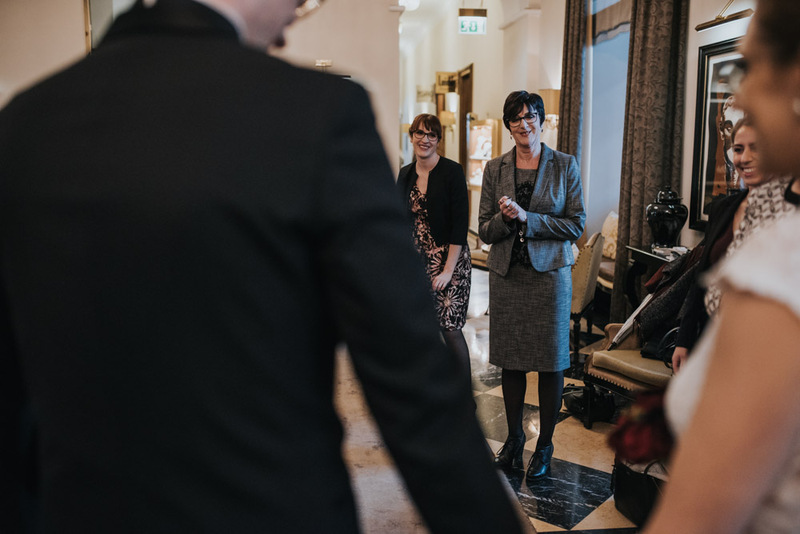 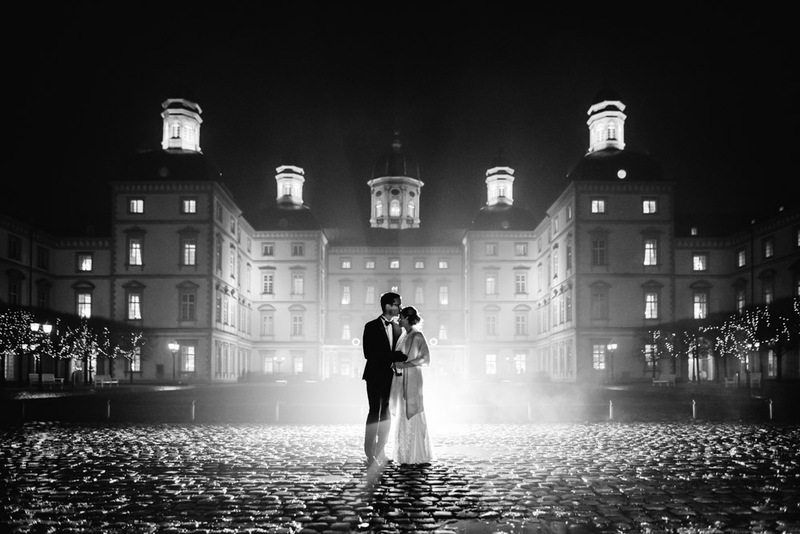 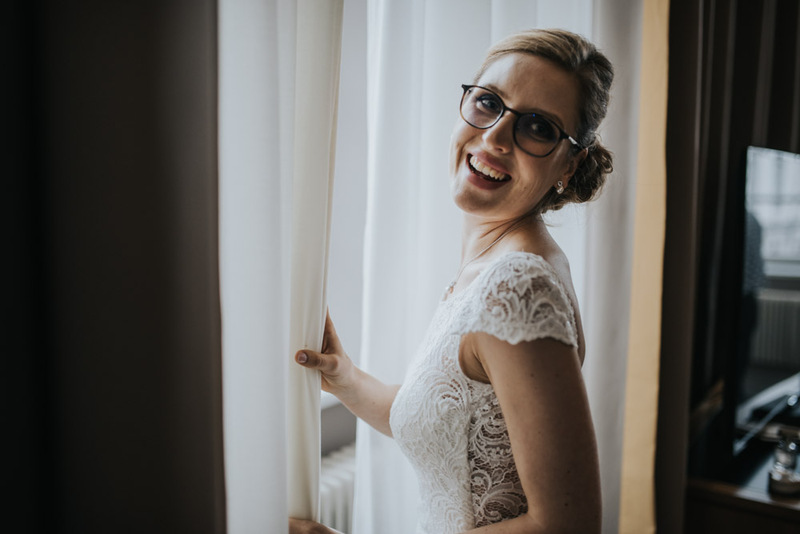 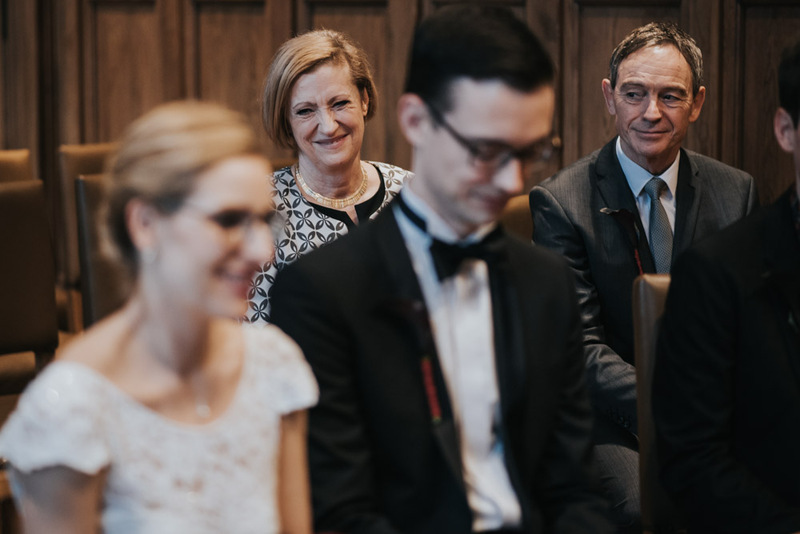 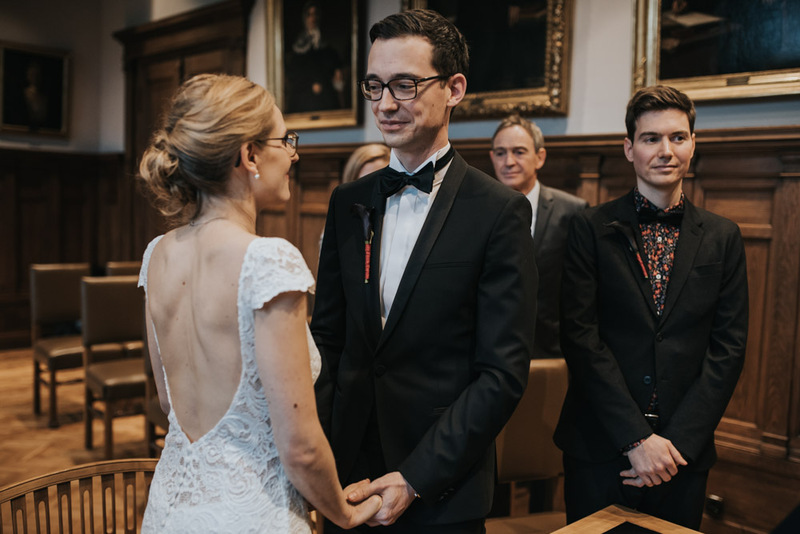 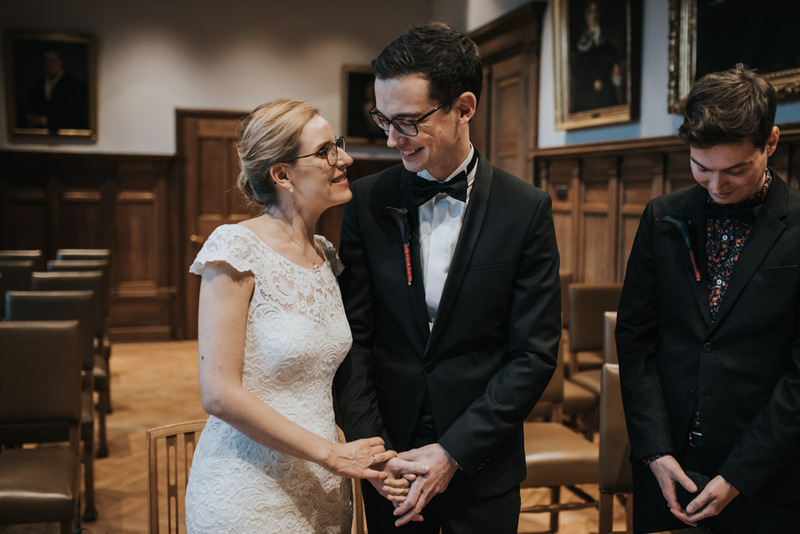 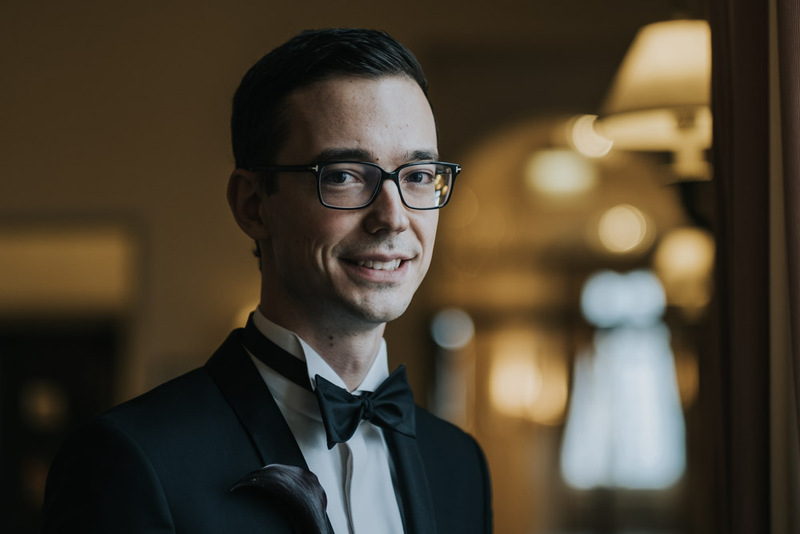 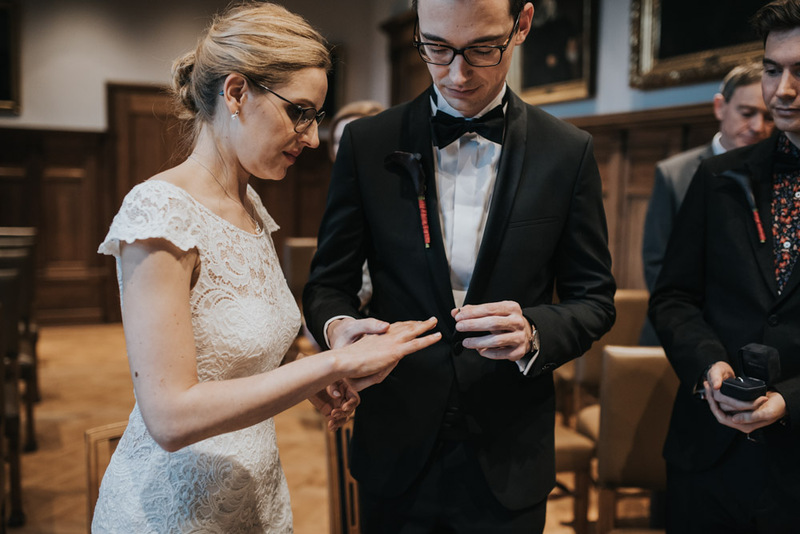 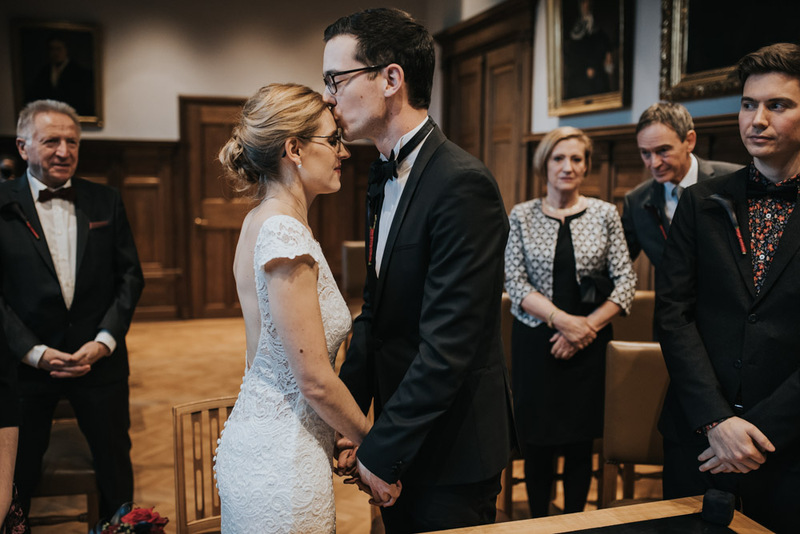 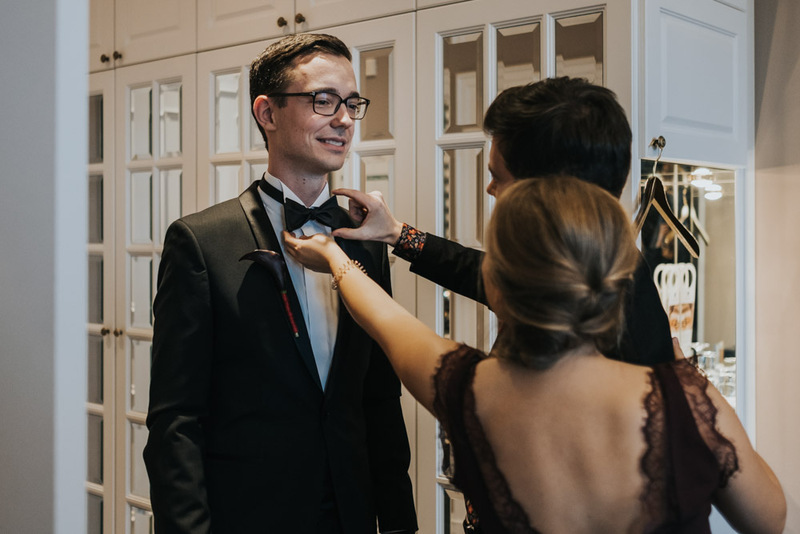 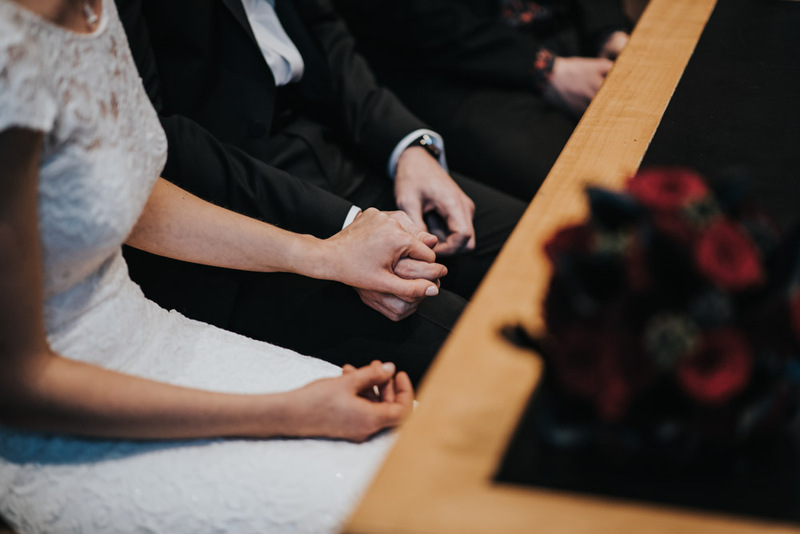 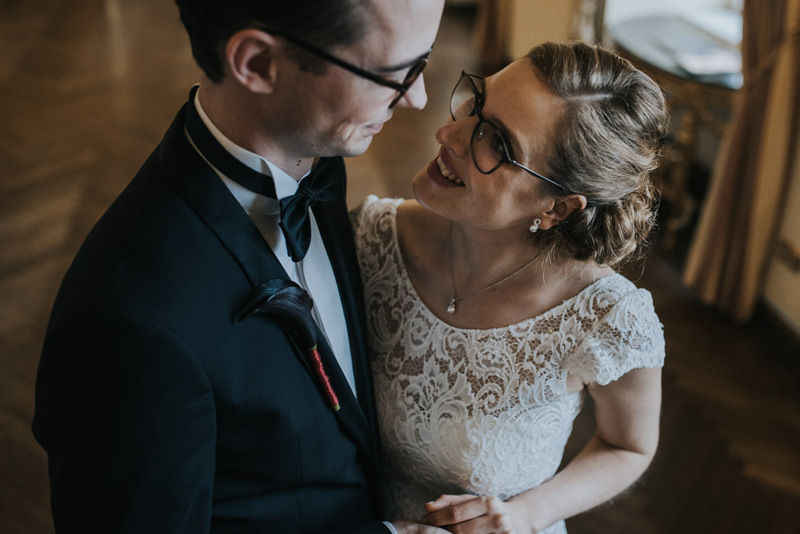 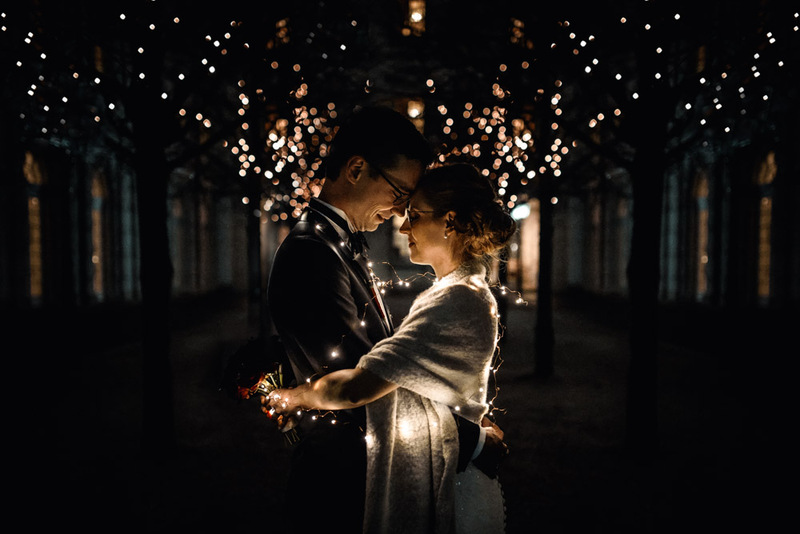 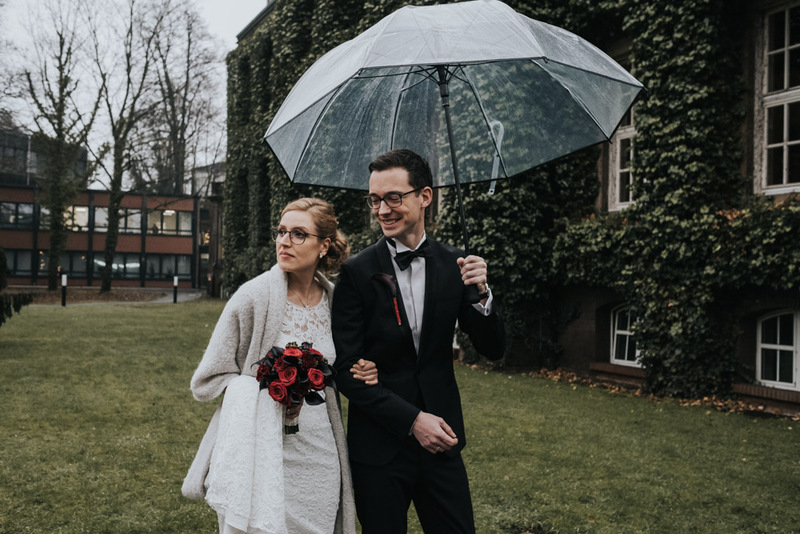 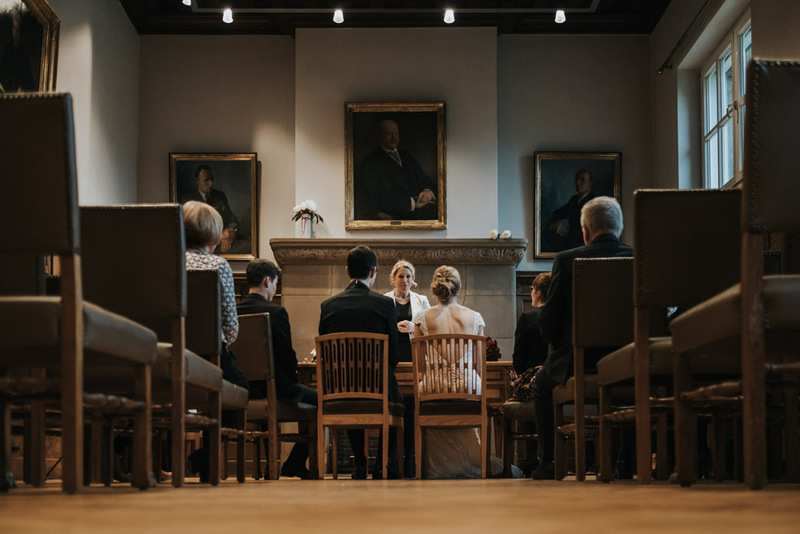 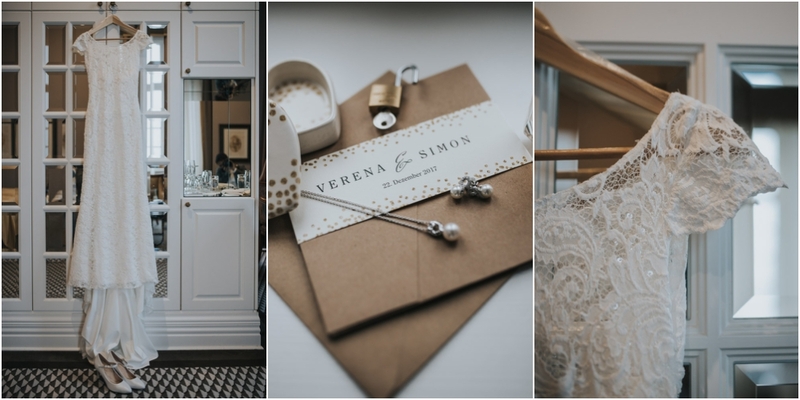 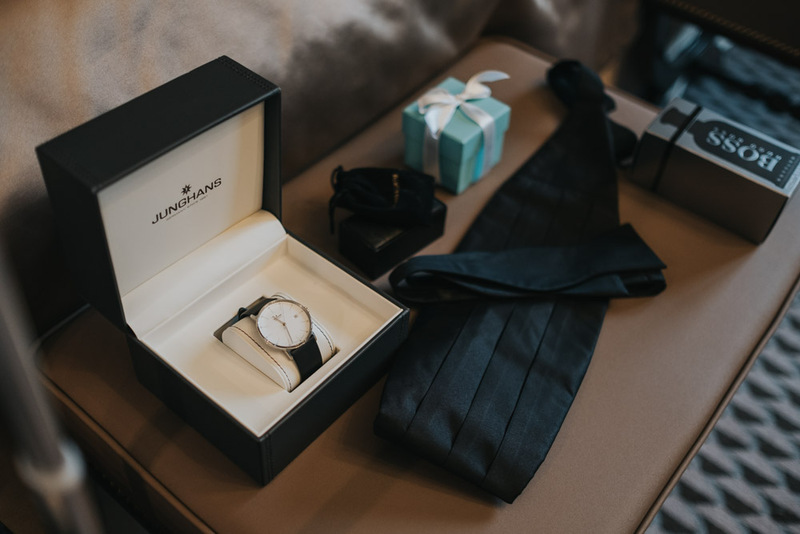 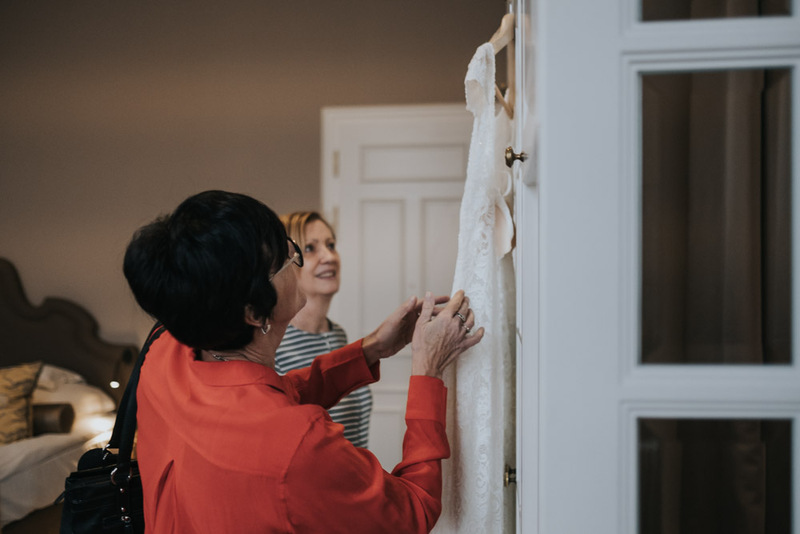 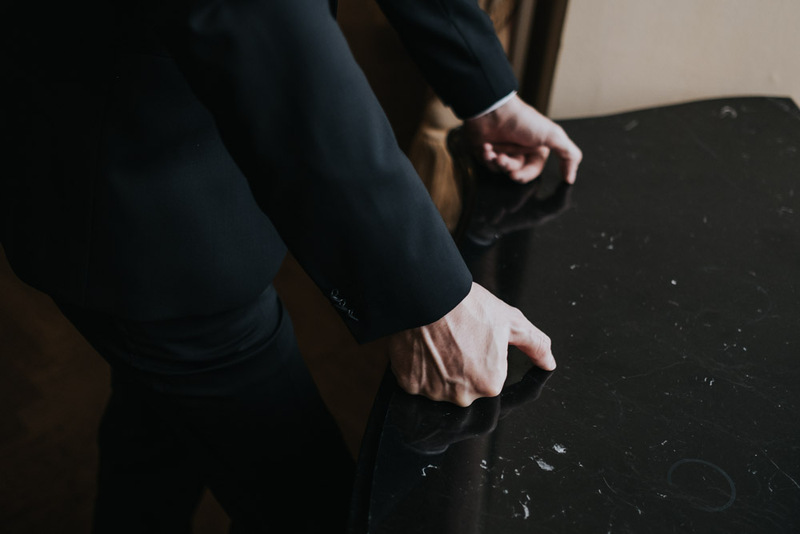 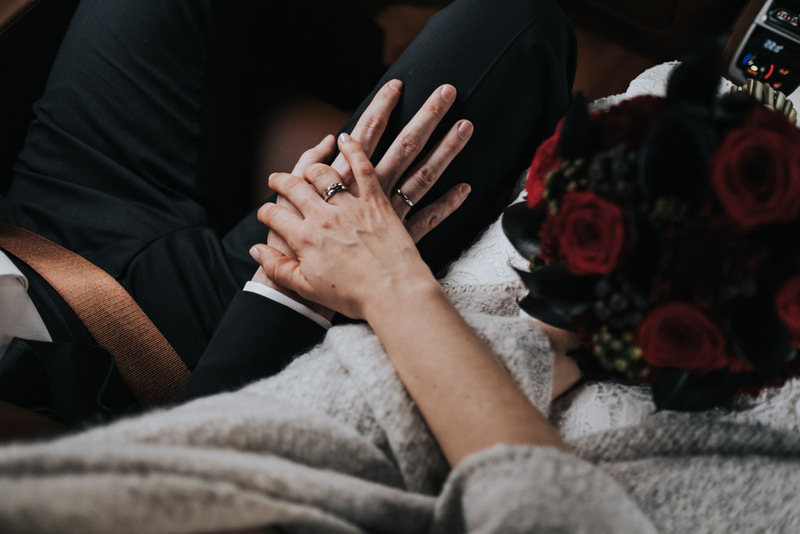 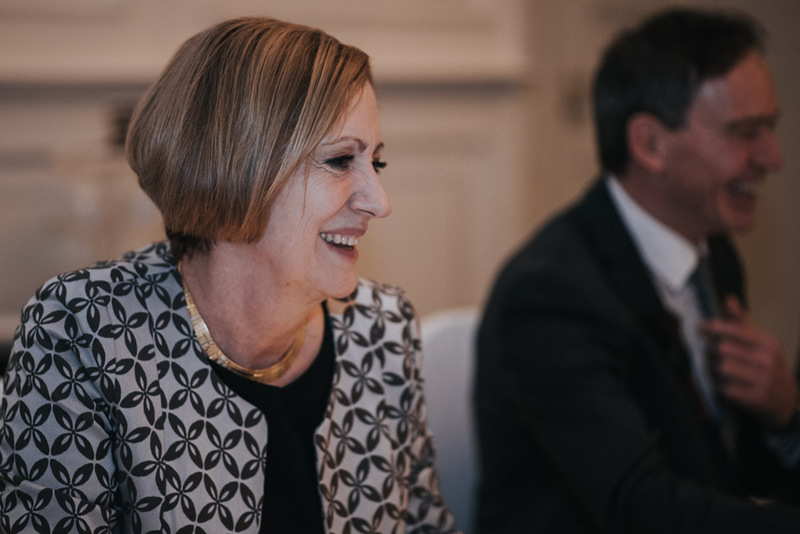 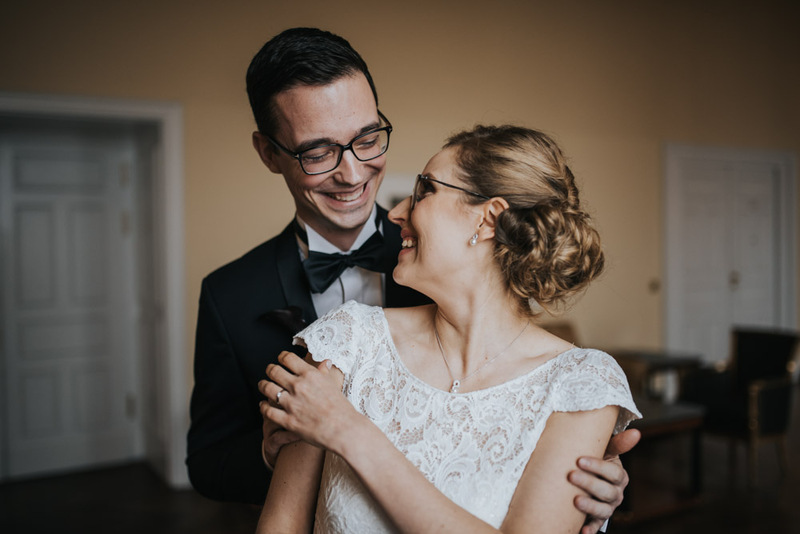 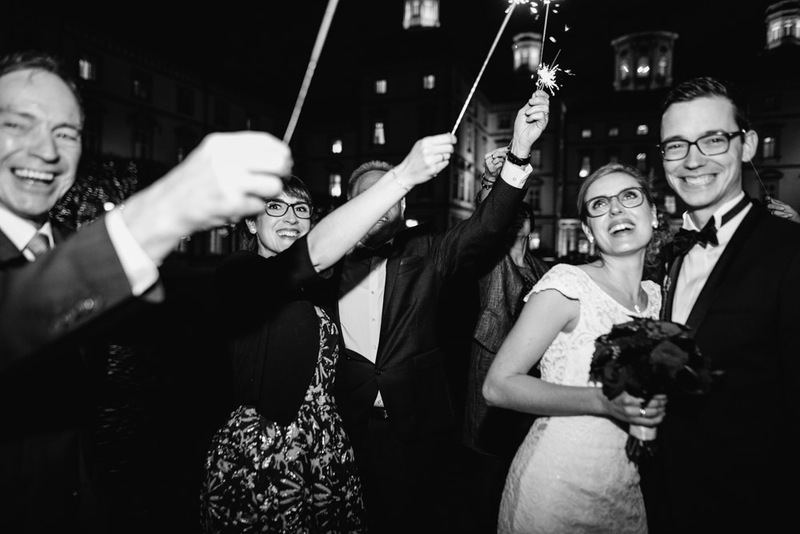 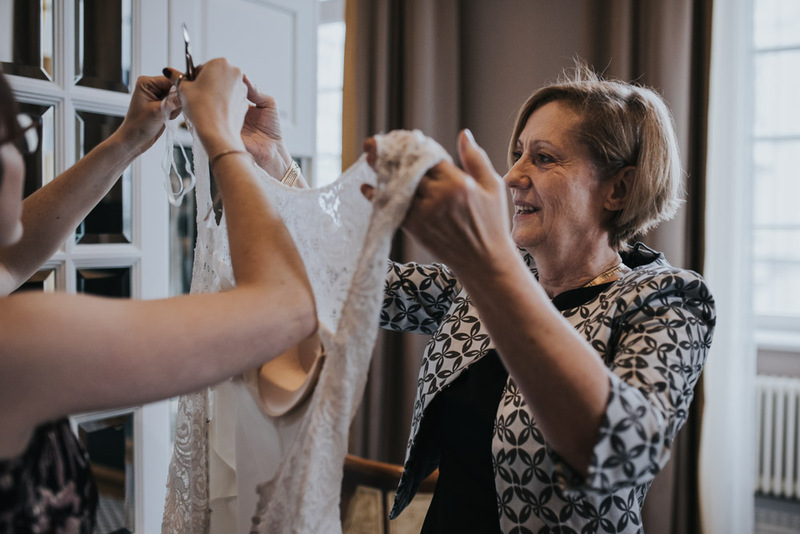 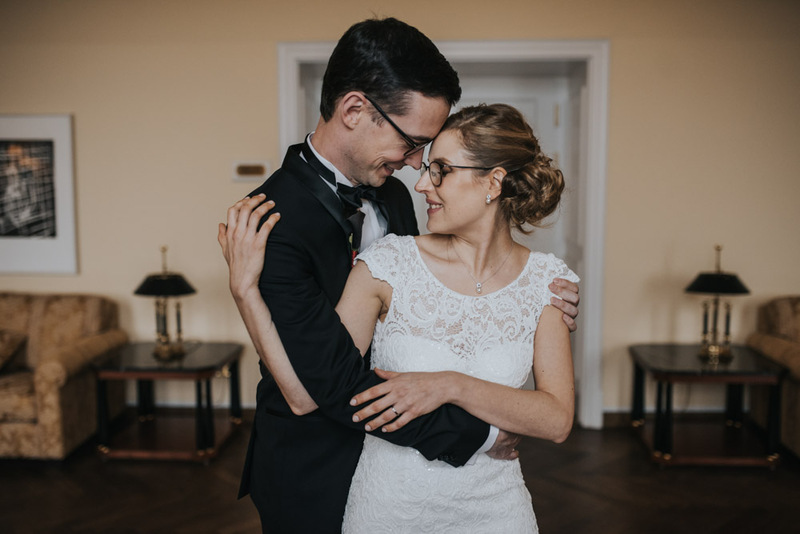 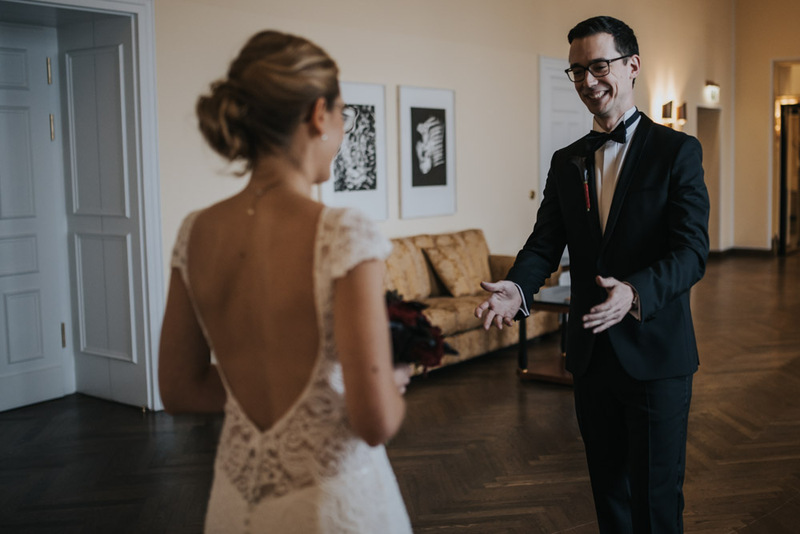 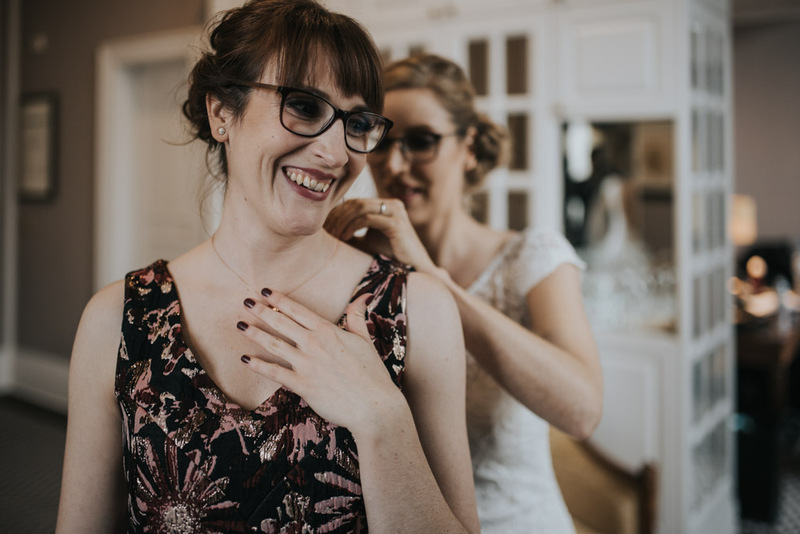 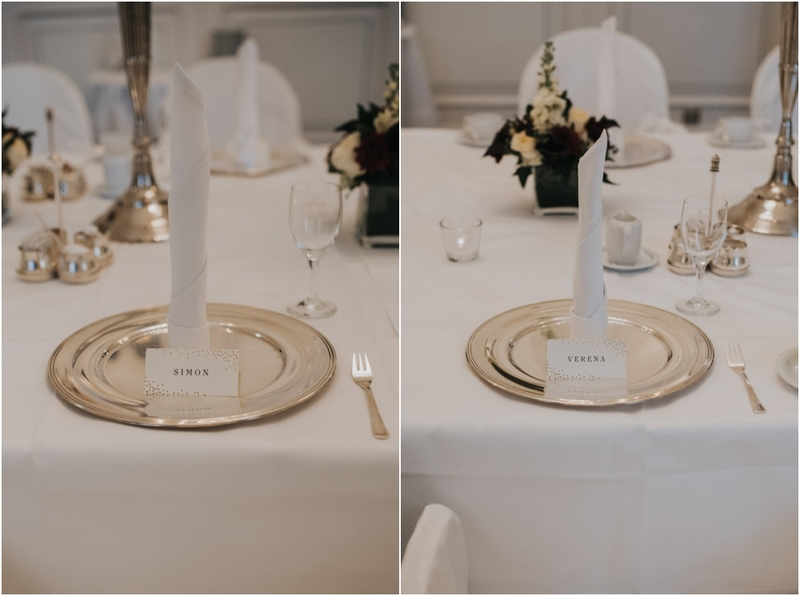 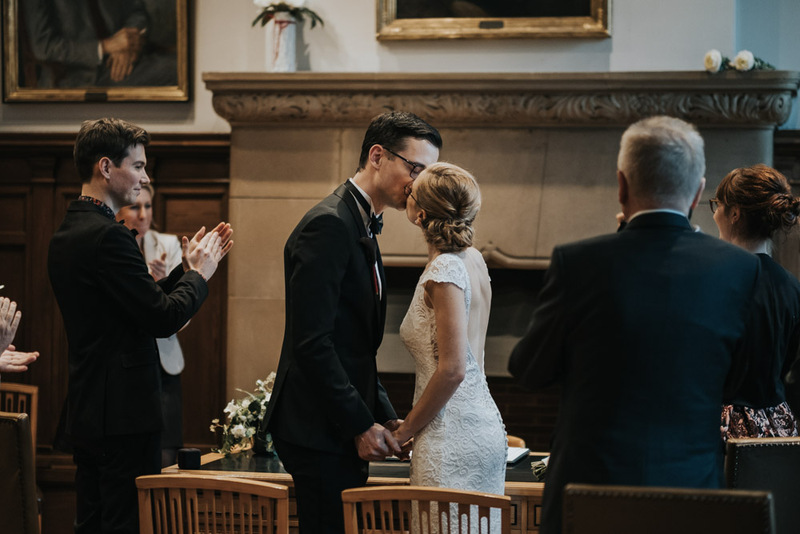 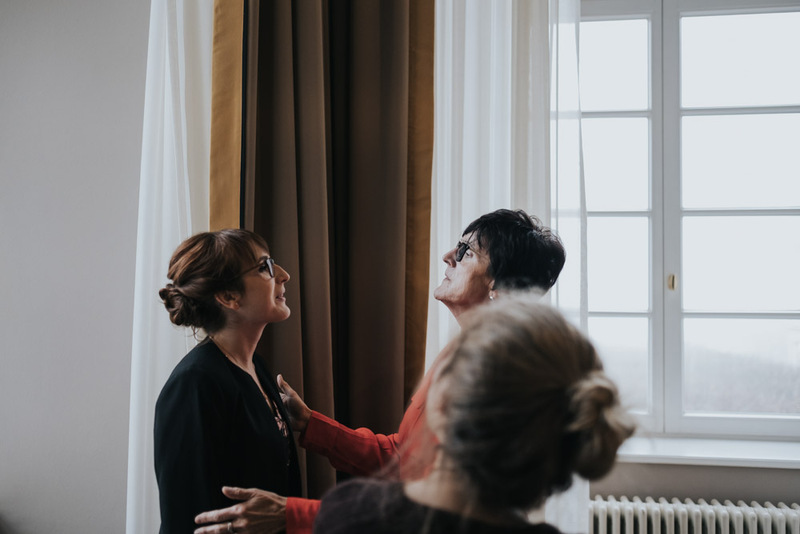 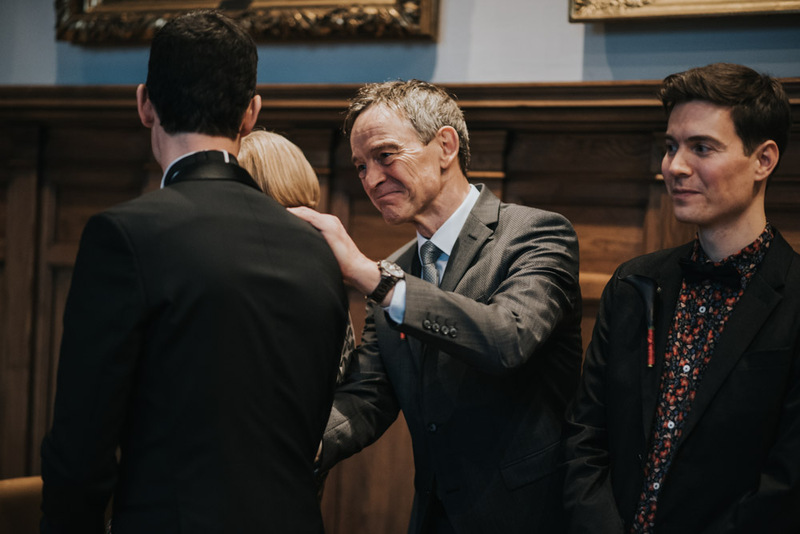 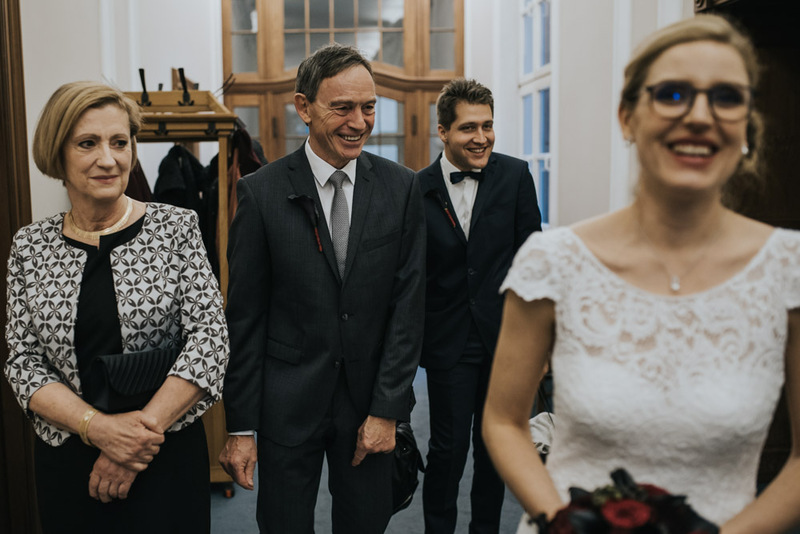 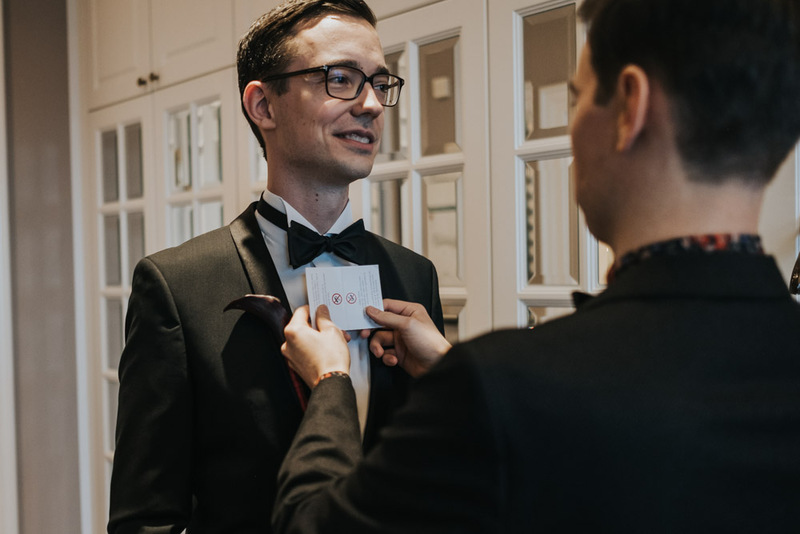 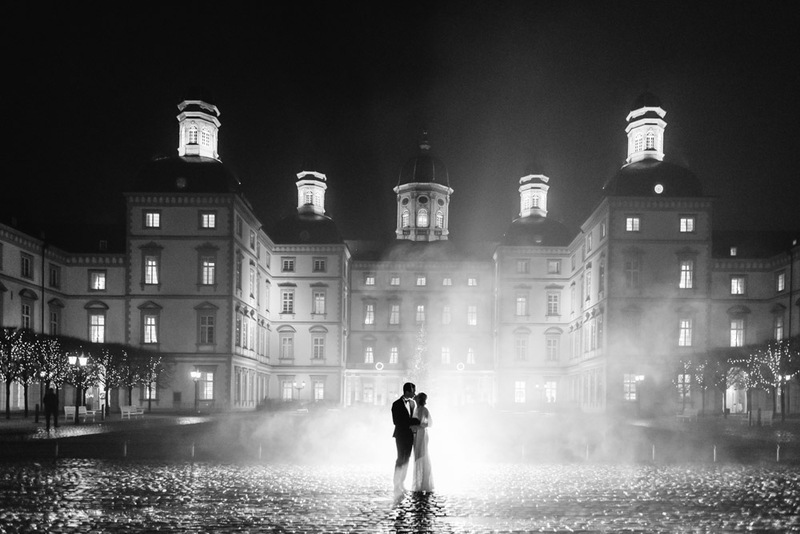 Verena and Simon wanted an intimate, family wedding at Schloss Bensberg, a castle near Cologne.It was to be an opportunity to celebrate Verena’s birthday at the same time. 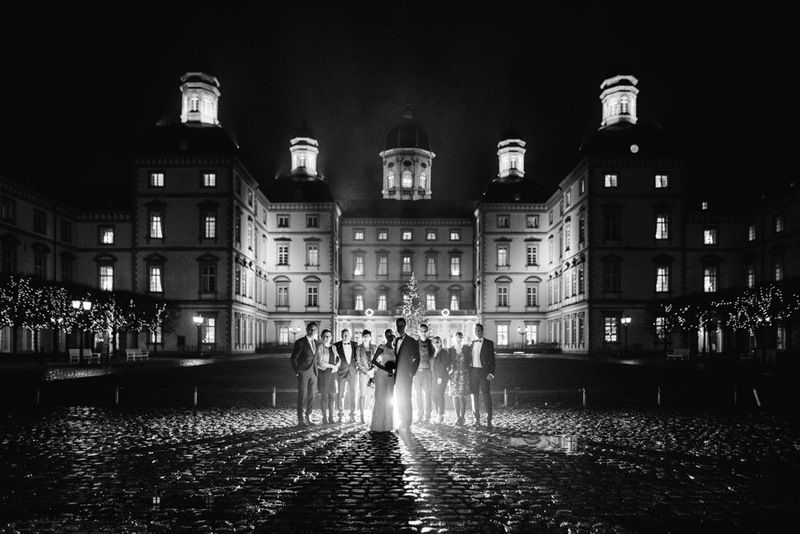 Originally from Saarland, they were now living in Cologne. 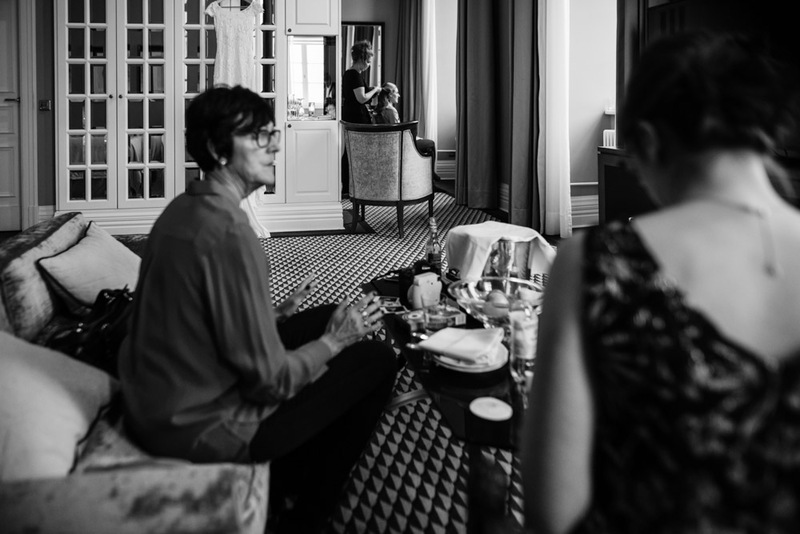 Only close family members were invited. 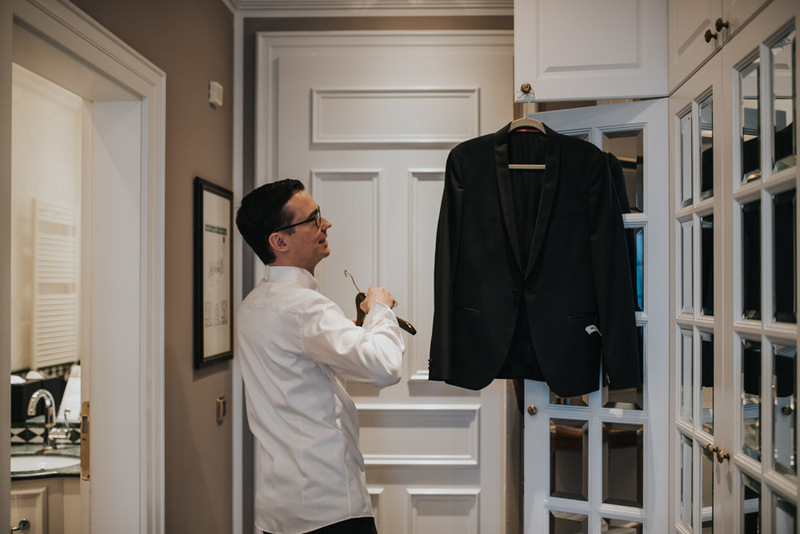 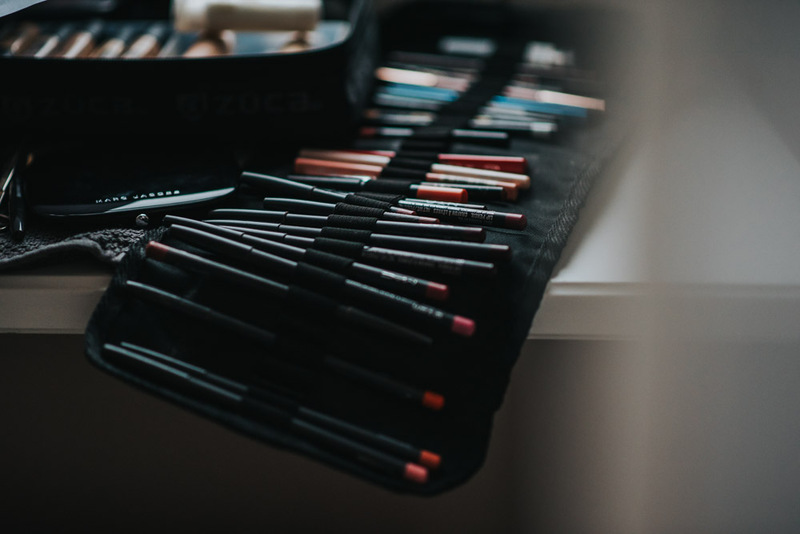 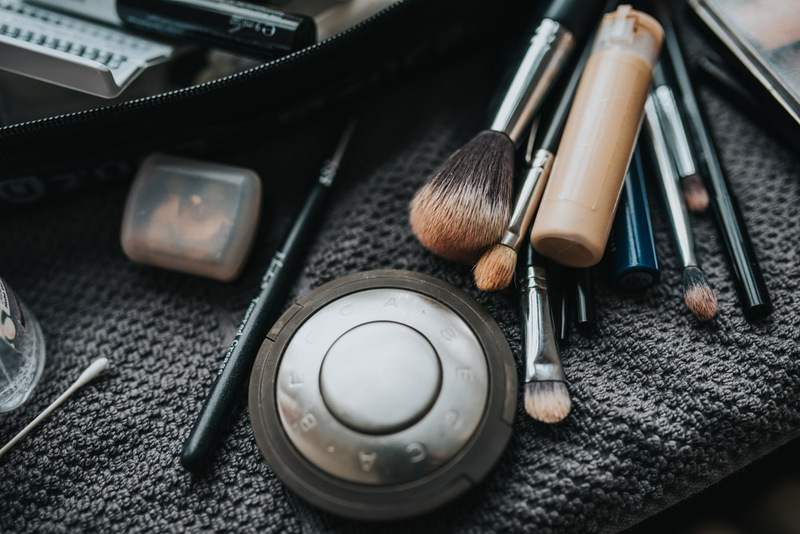 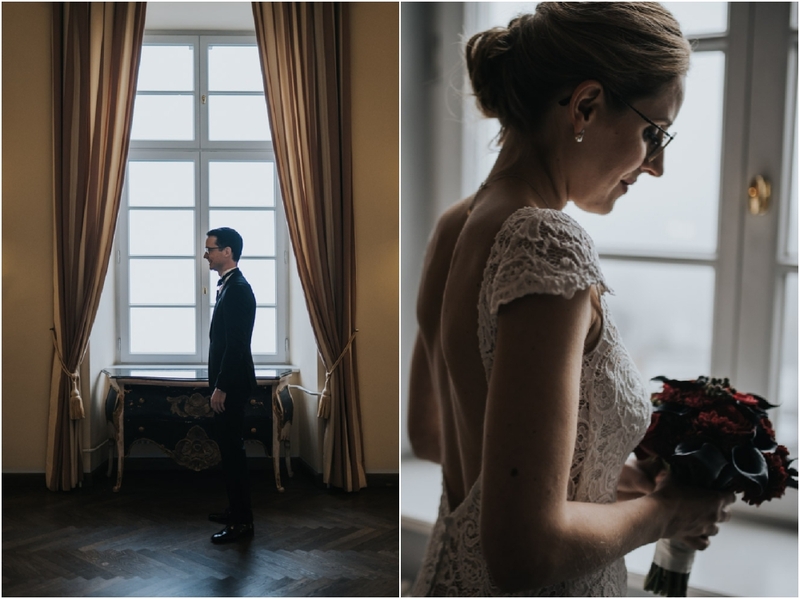 Verena and Simon put a high value on having us record them getting ready, so we arrived shortly after the make-up artist on that special December morning. 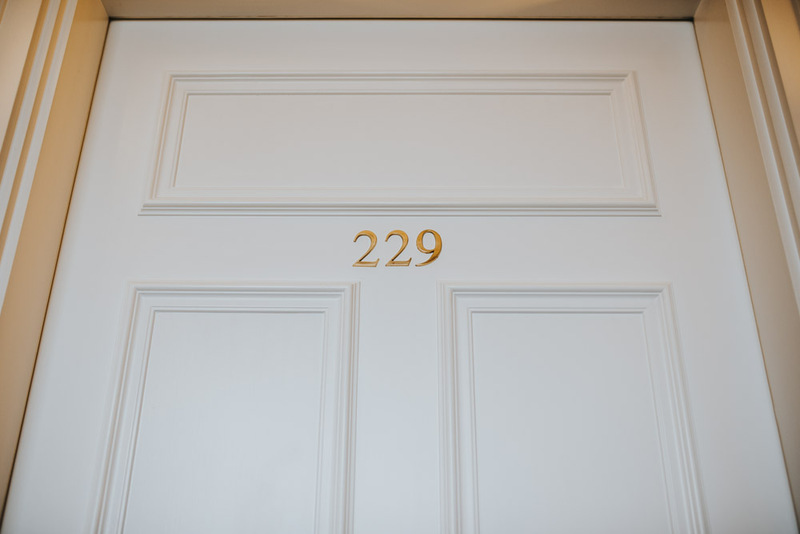 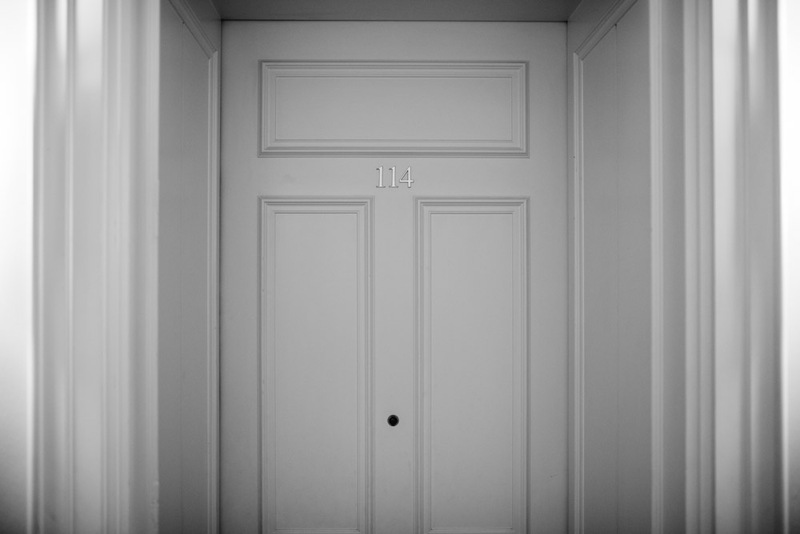 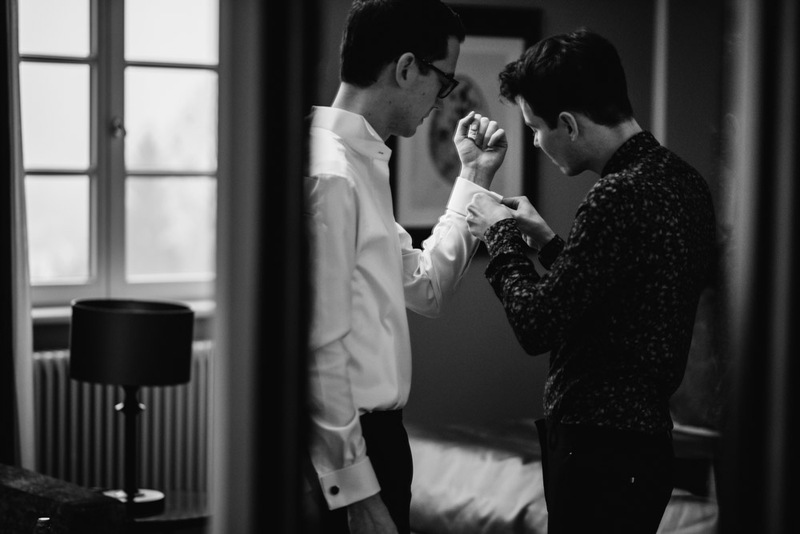 Accompanied by siblings and parents, the two got ready in separate rooms. 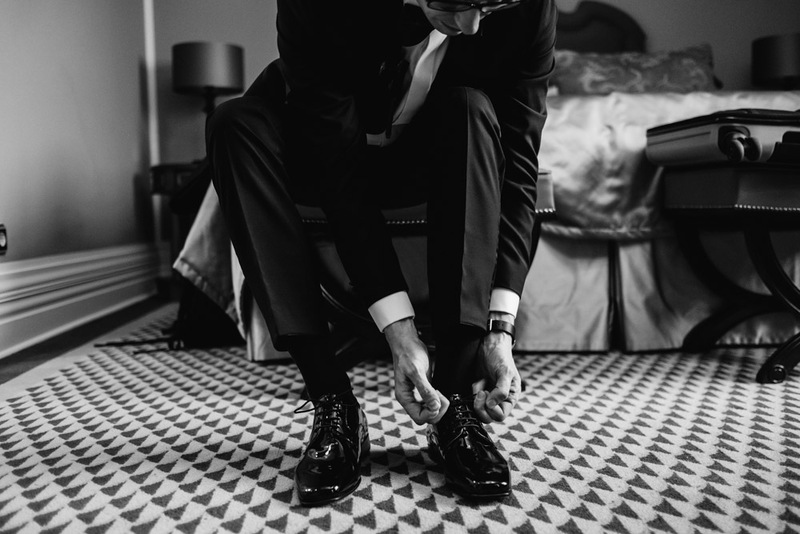 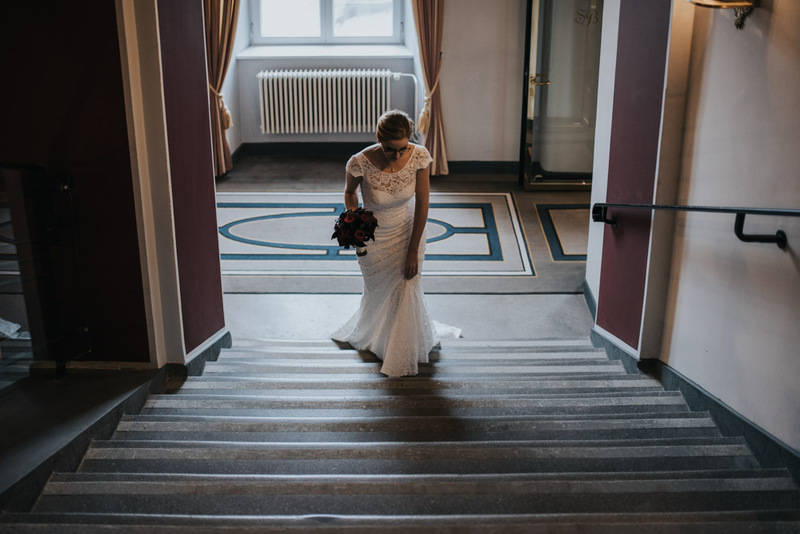 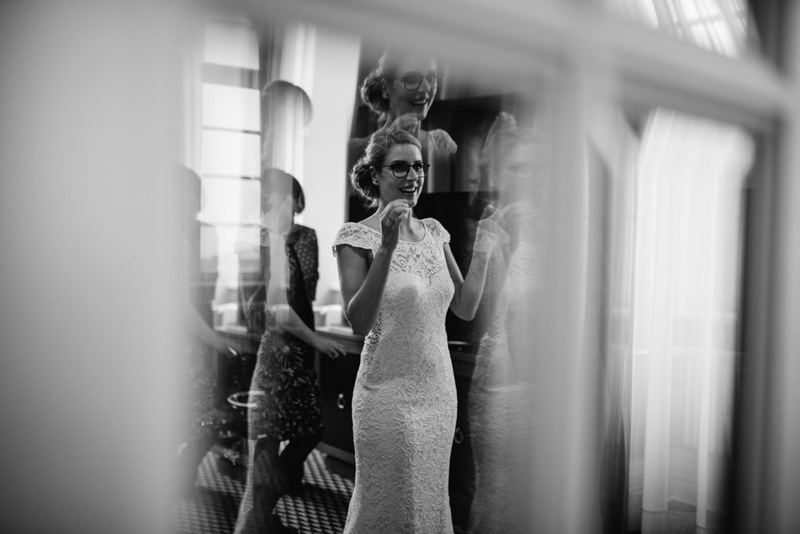 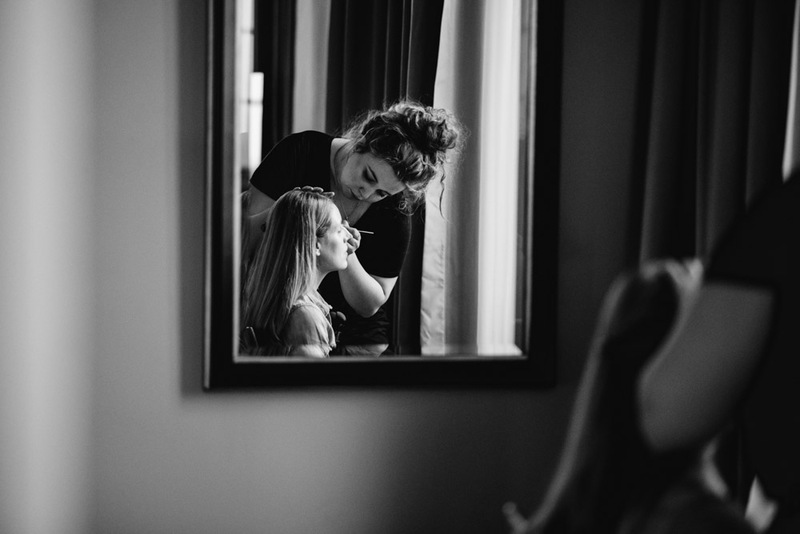 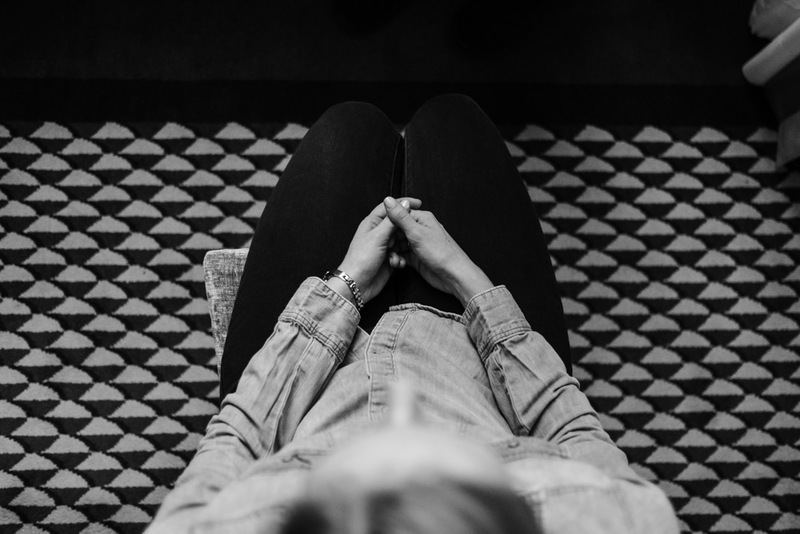 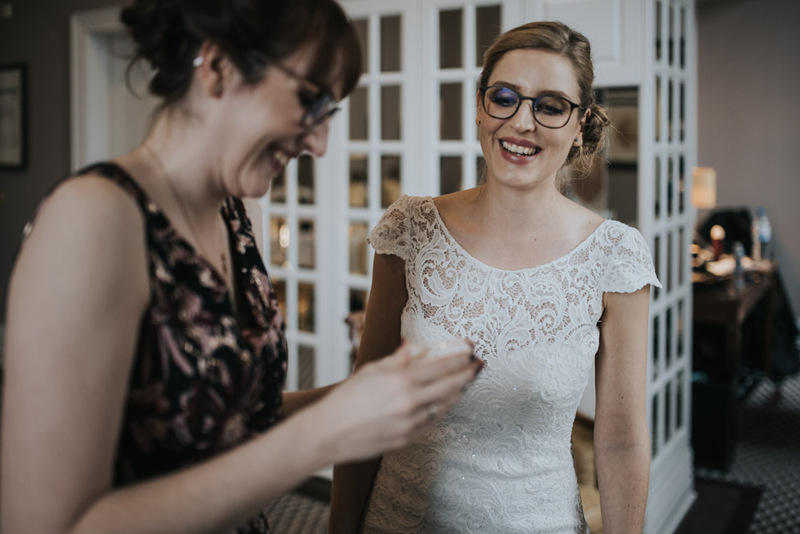 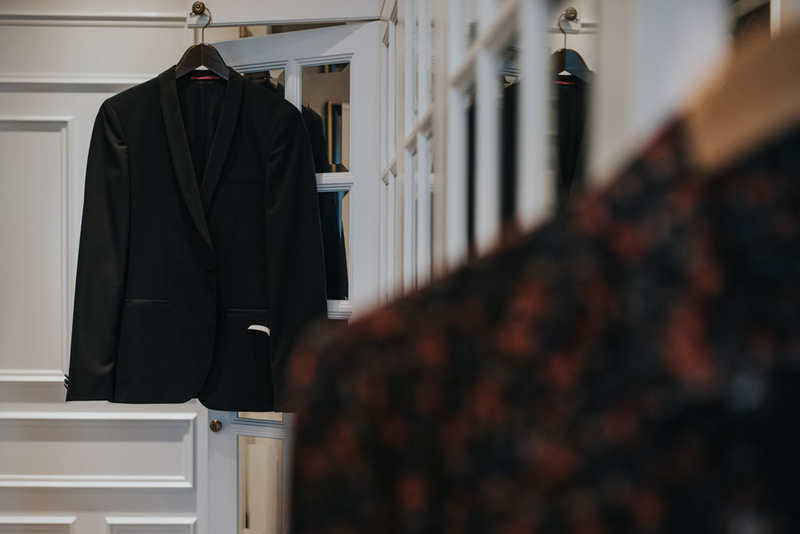 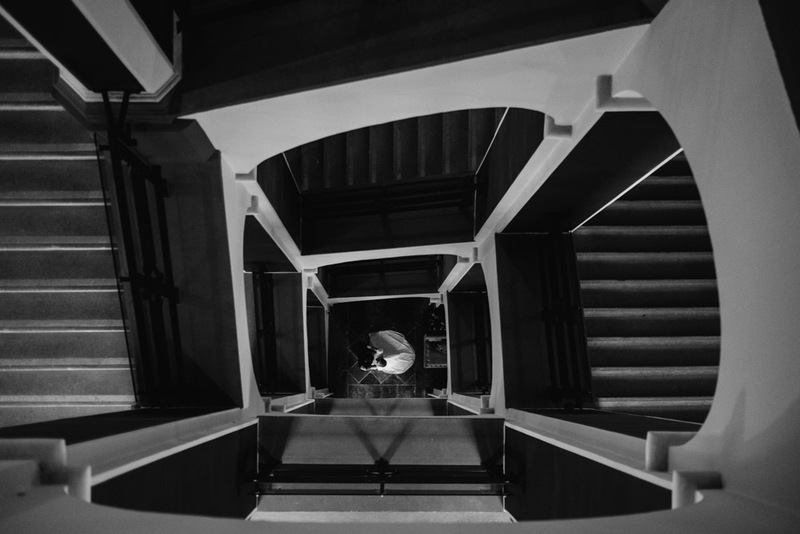 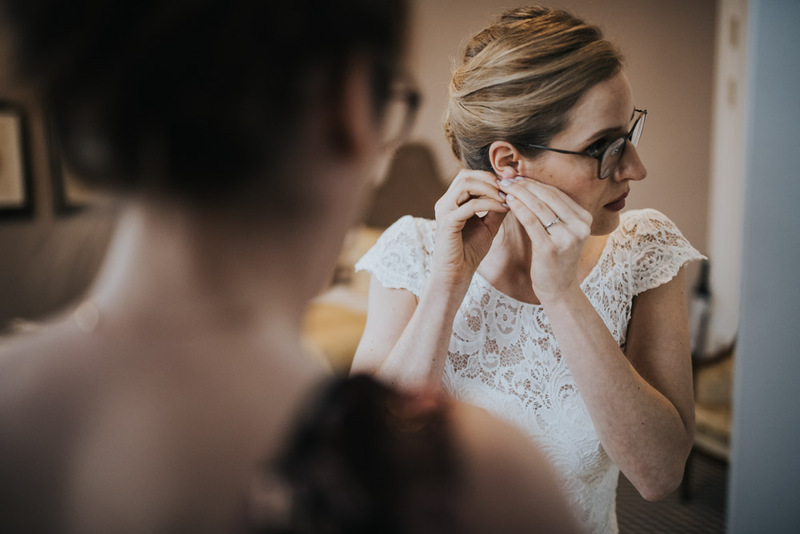 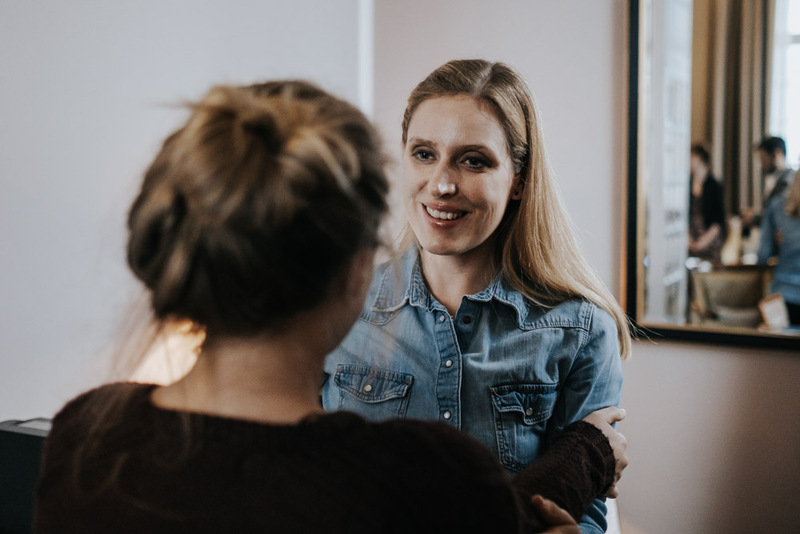 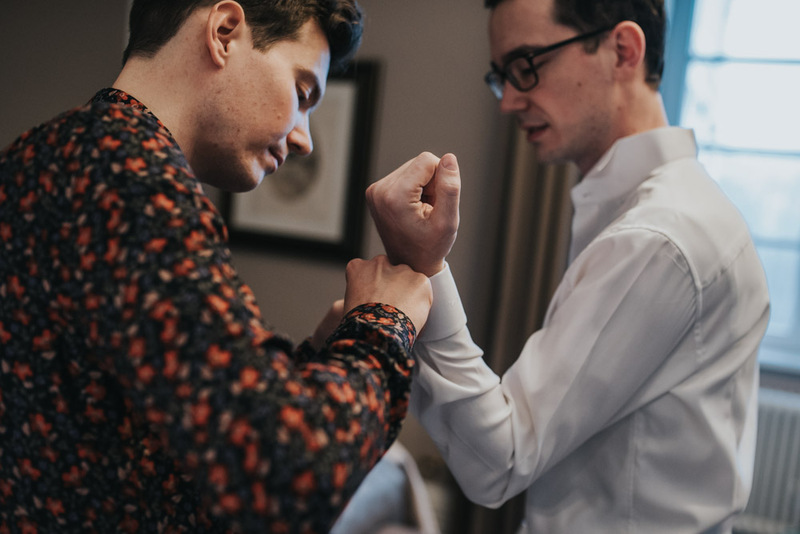 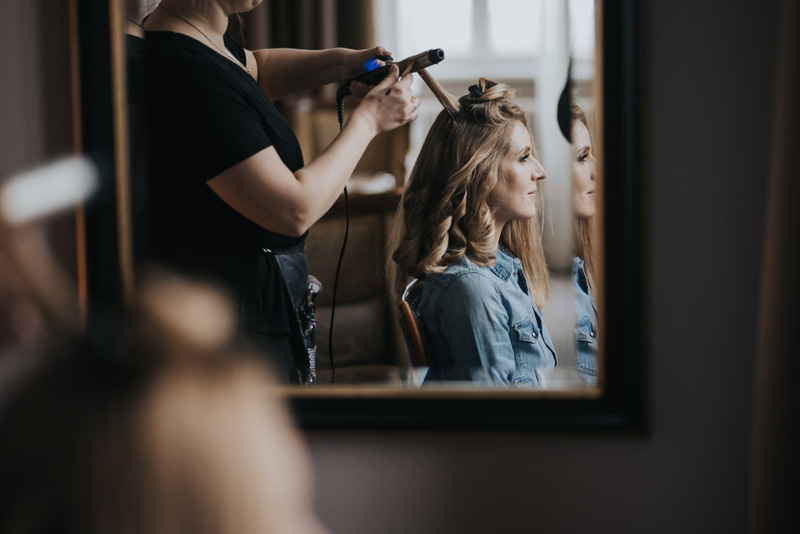 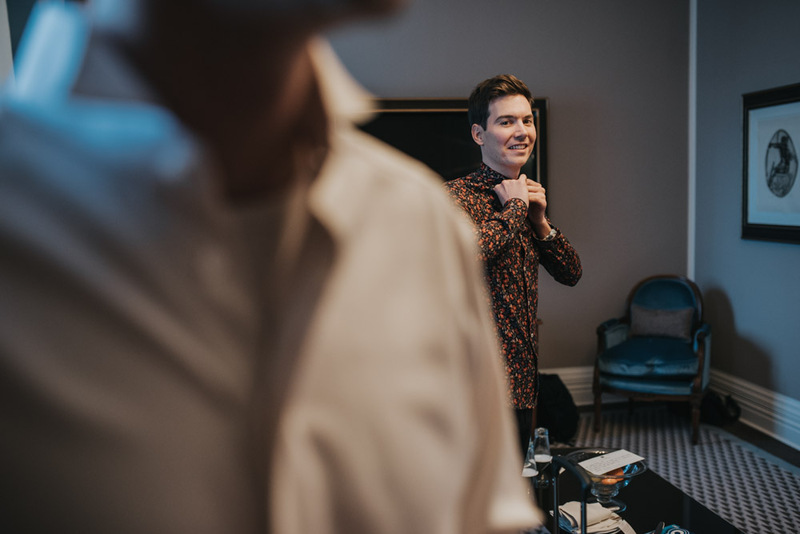 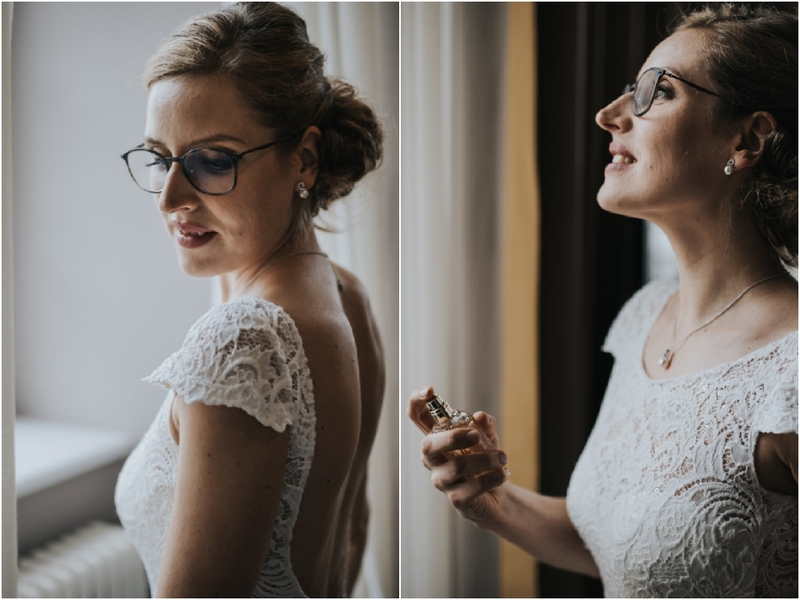 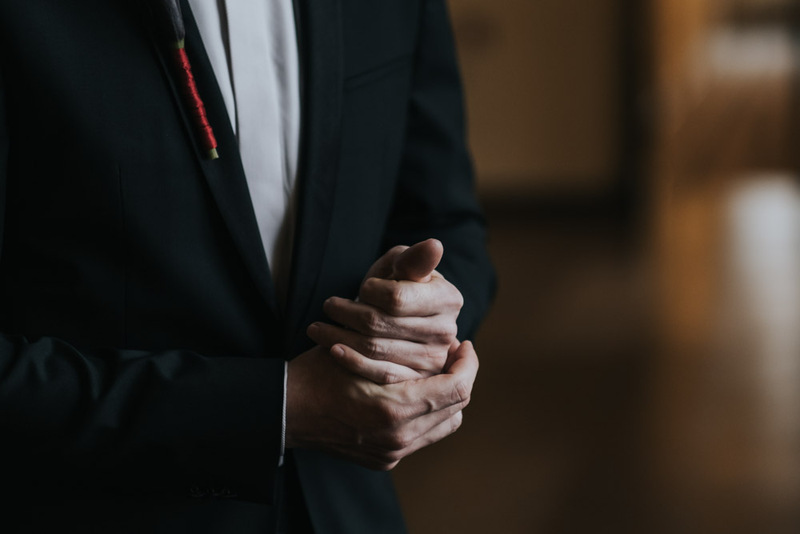 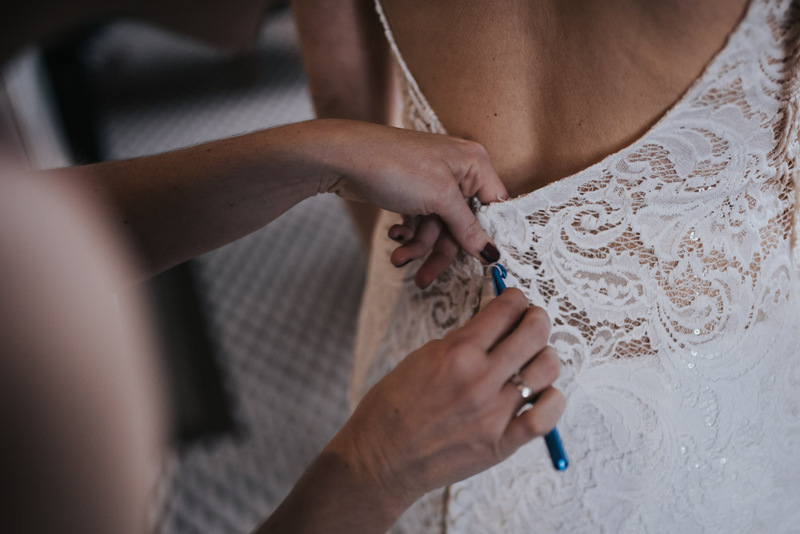 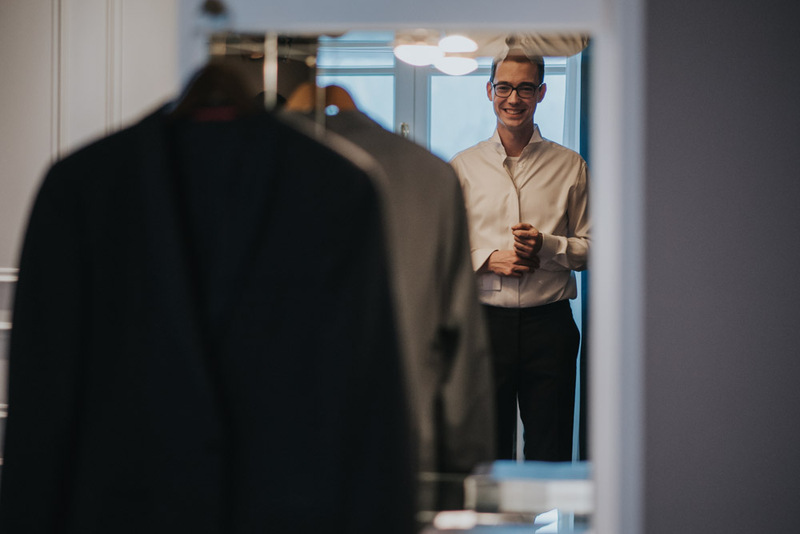 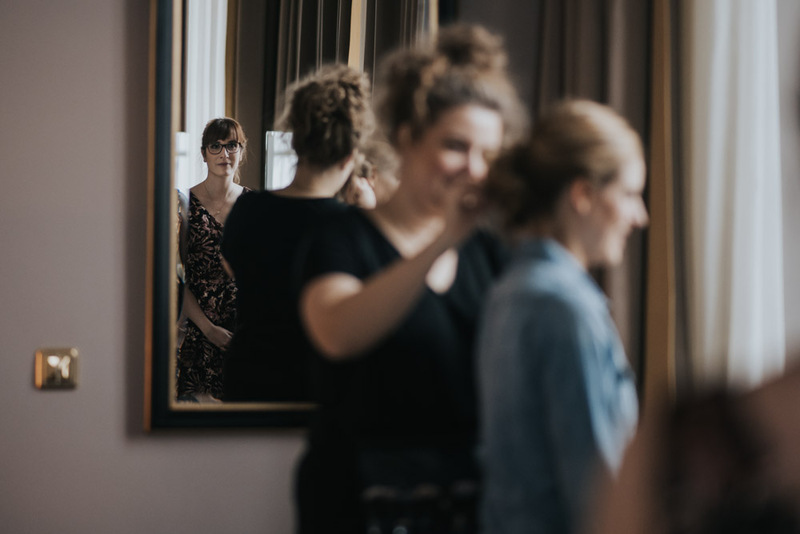 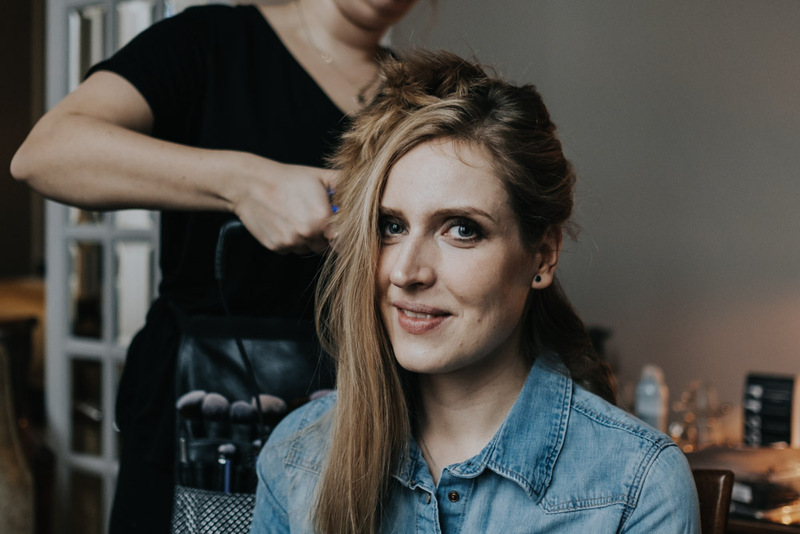 While Stefano photographed Verena getting ready, , Sandra was with Simon, who became more and more nervous. 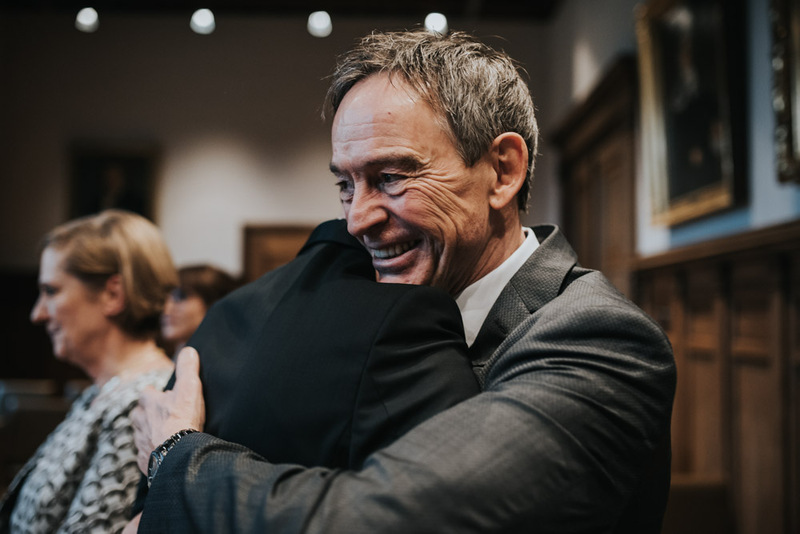 He couldn’t wait to finally see his bride in her wedding dress. 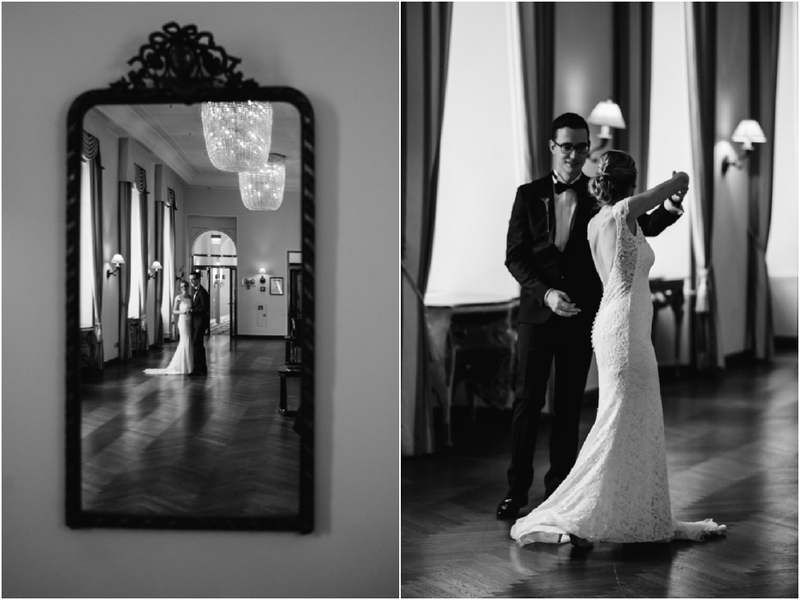 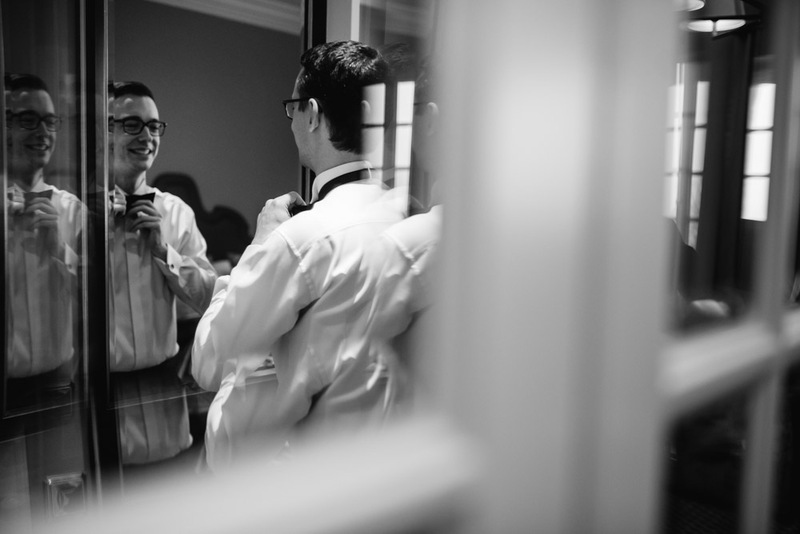 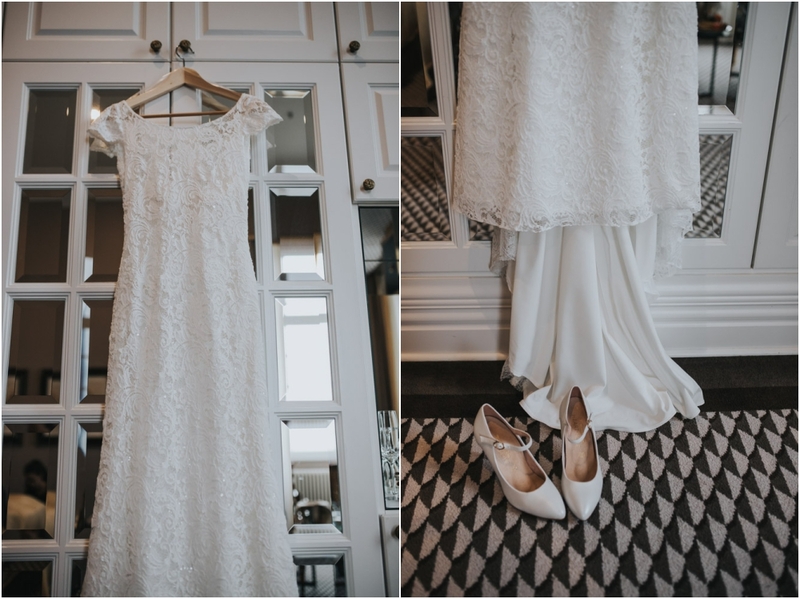 To make this moment as intimate as possible, they had their first look at each other in their wedding attire alone. 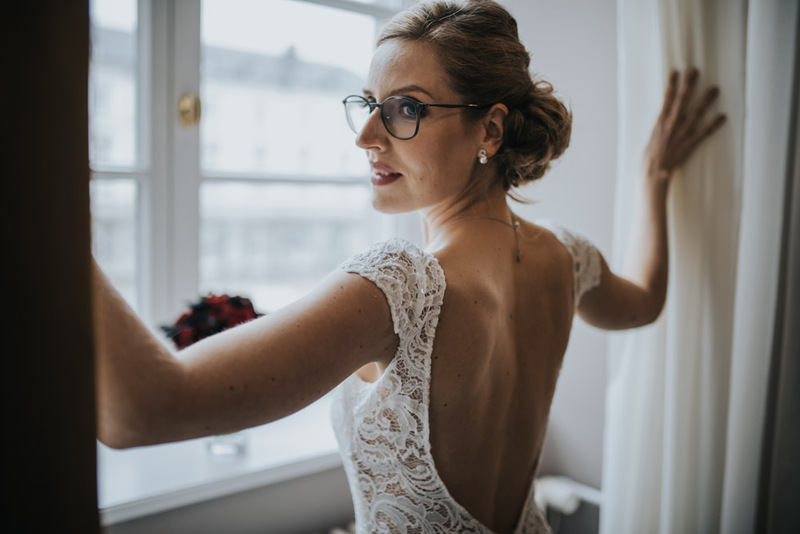 ( with us to capture the moment of course). 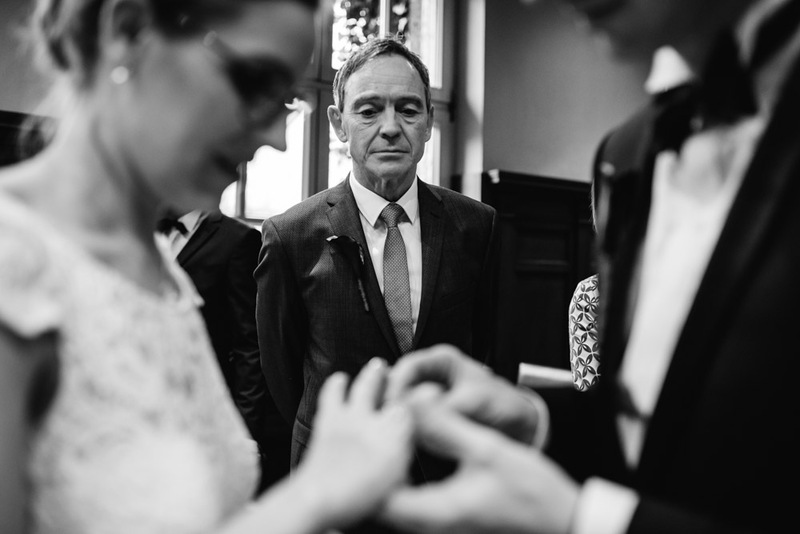 It is always such a privilege to witness such a beautiful moment. . 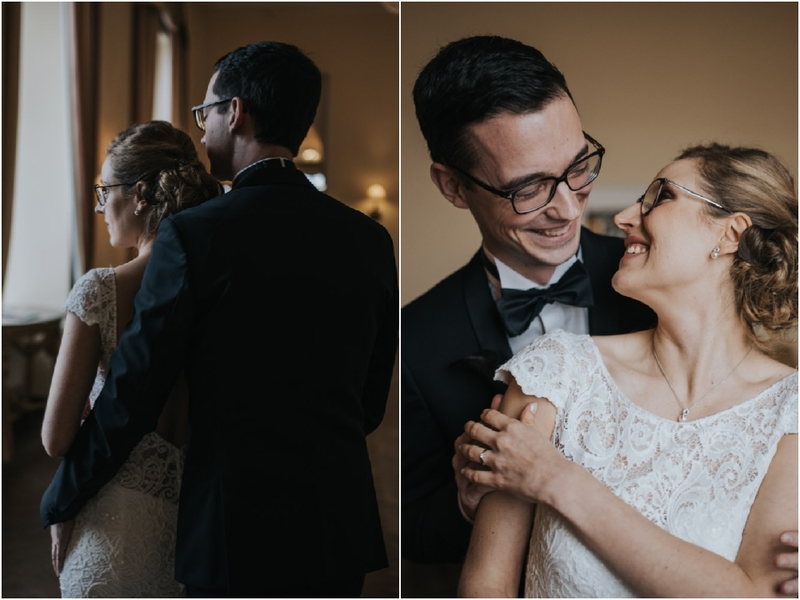 It was a moment of pure happiness. 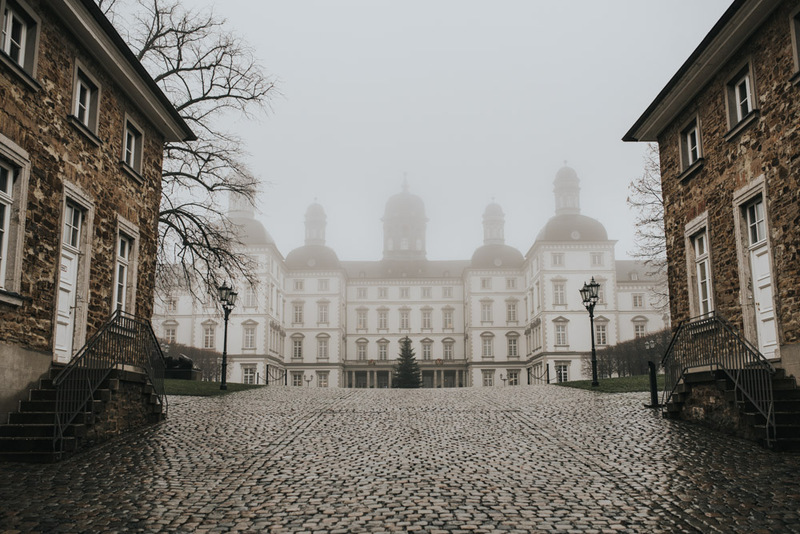 Due to the weather but there are worse places for that than a castle. 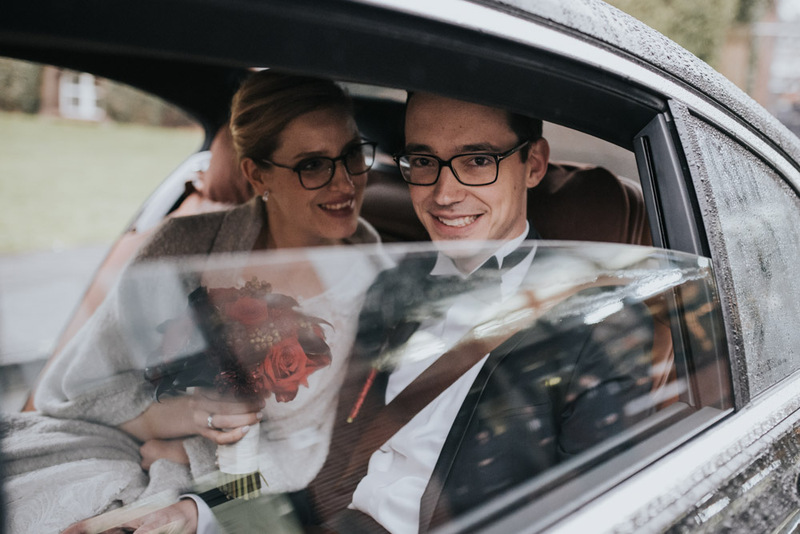 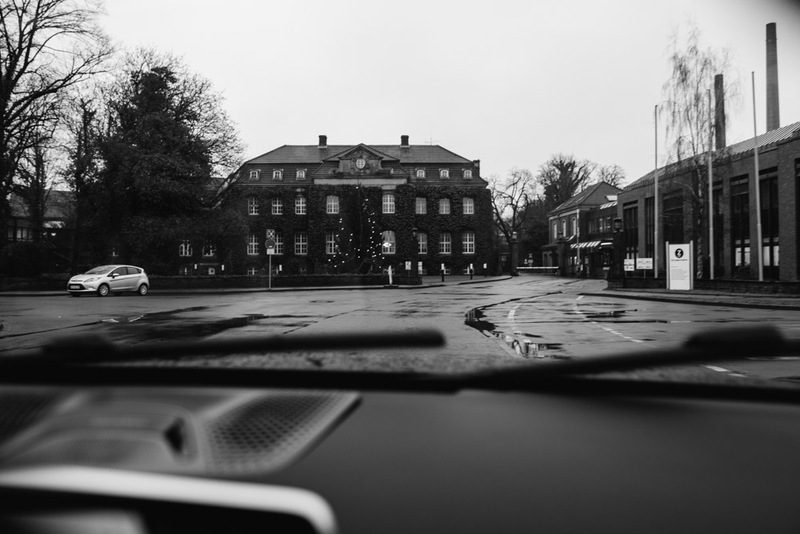 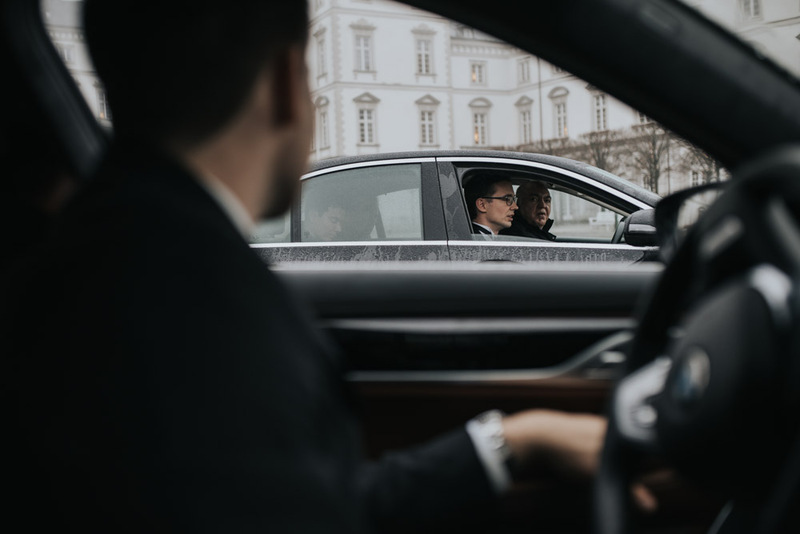 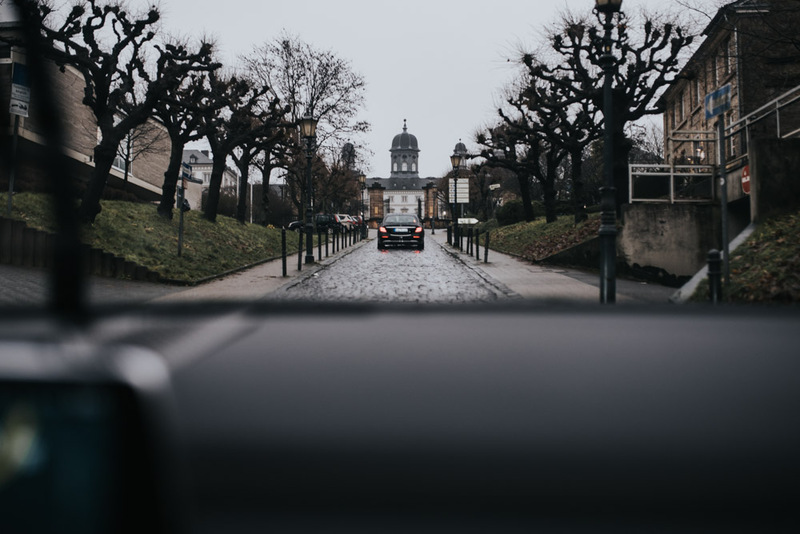 The 10 member wedding party gathered in the foyer of the hotel and rode in three rented limousines to Bergisch Gladbach, where the ceremony was held. 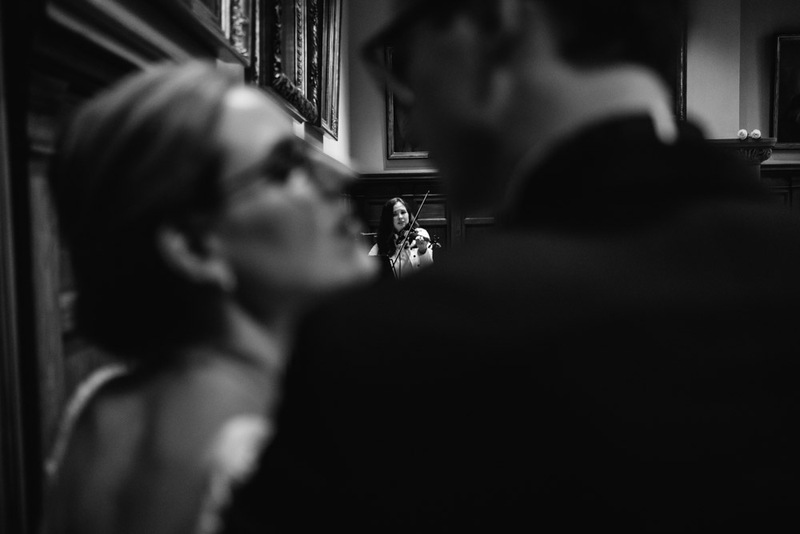 Accompanied by a violin player the happy couple said “I do”. 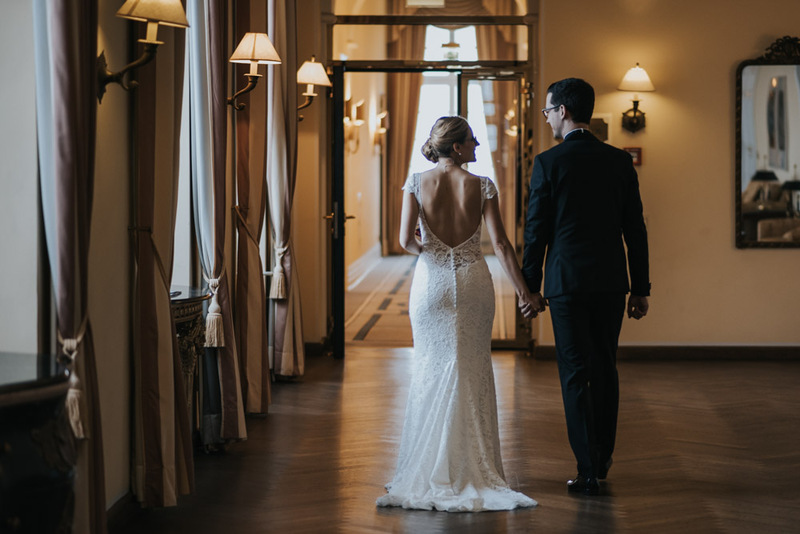 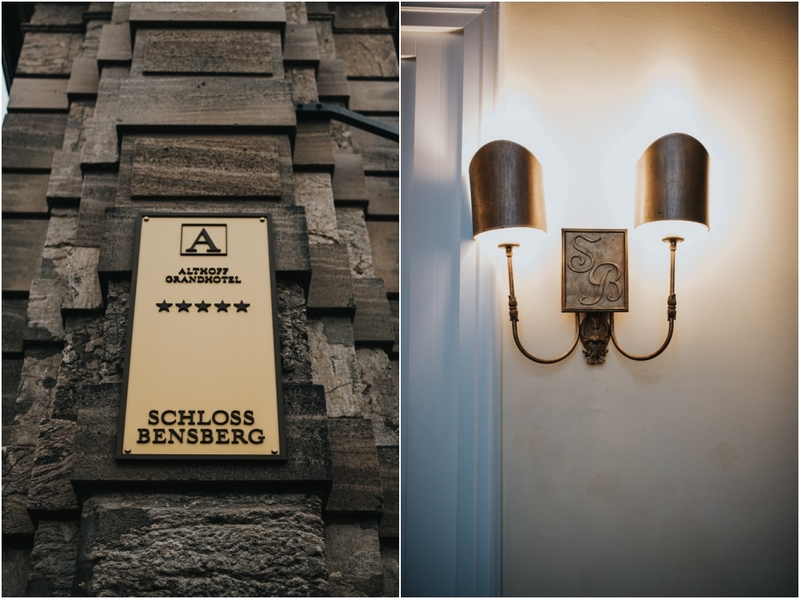 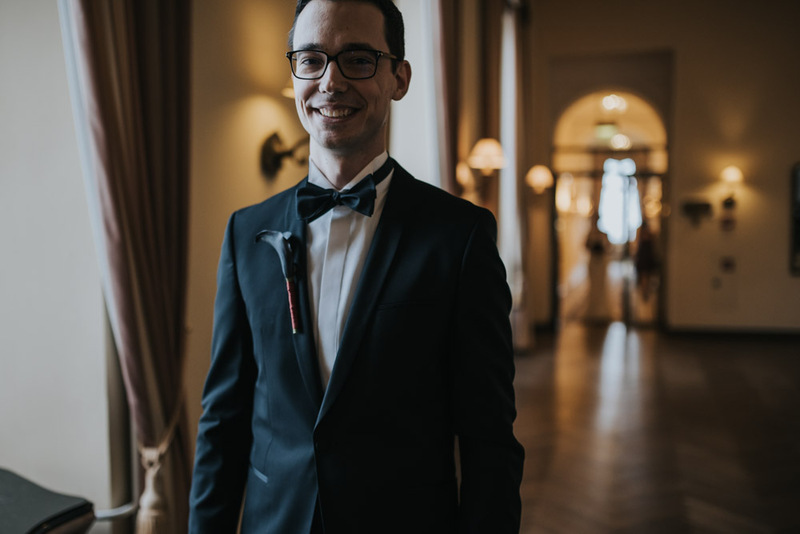 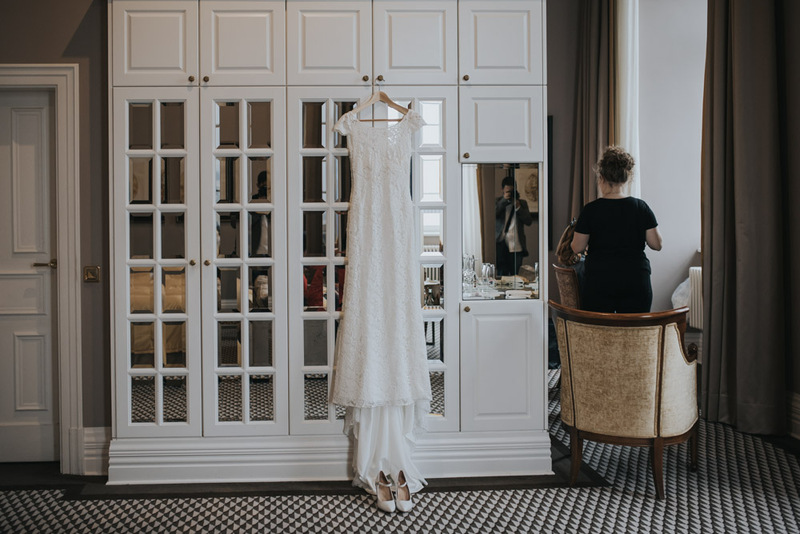 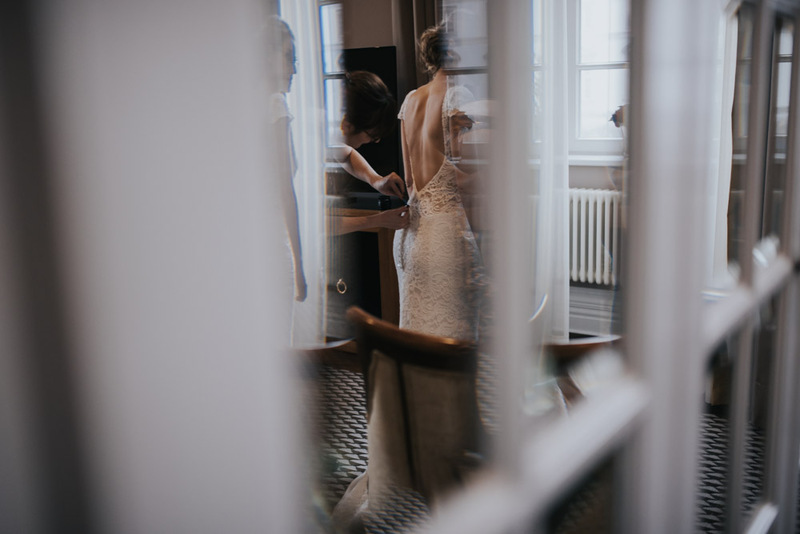 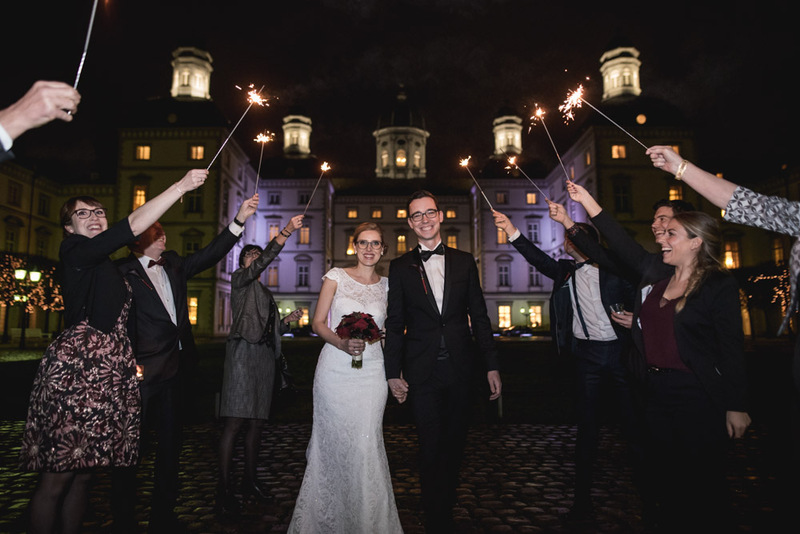 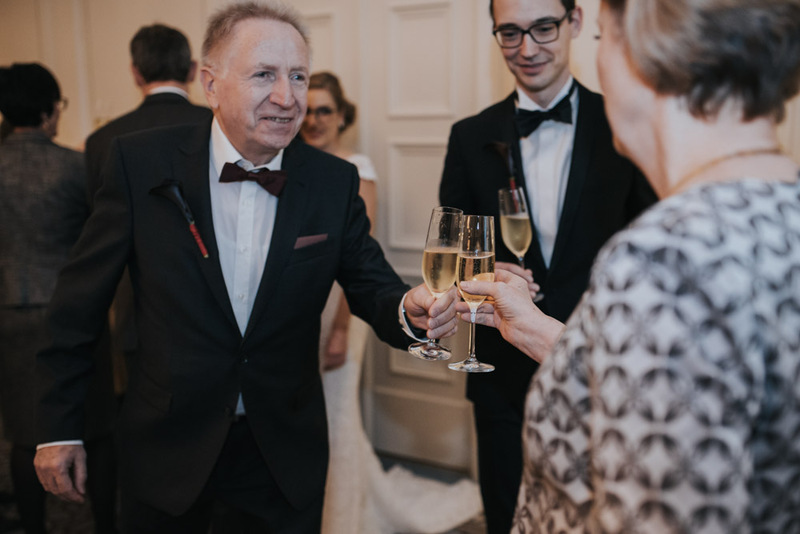 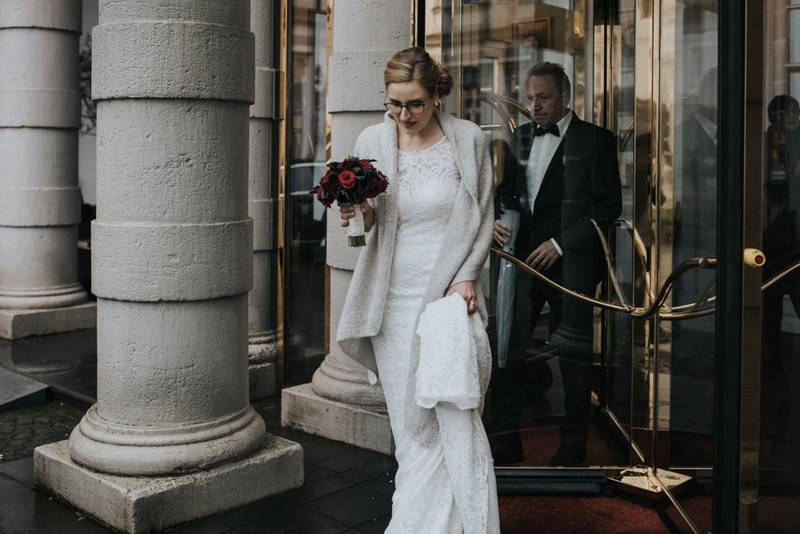 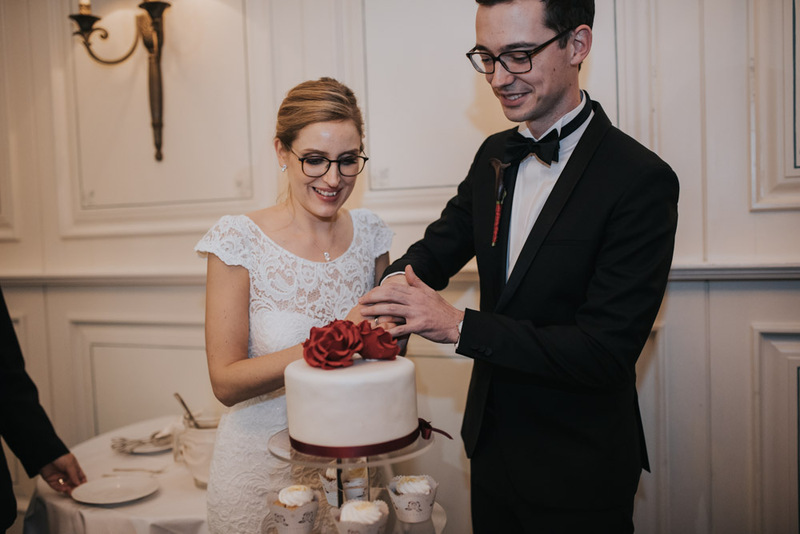 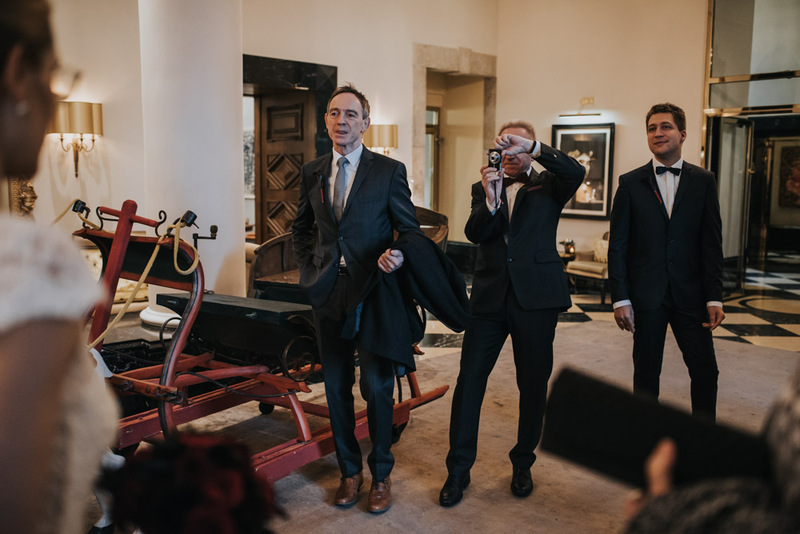 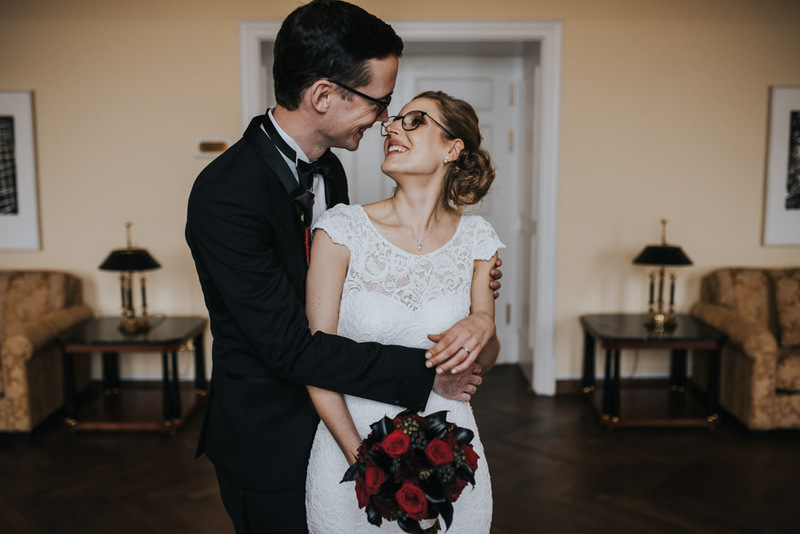 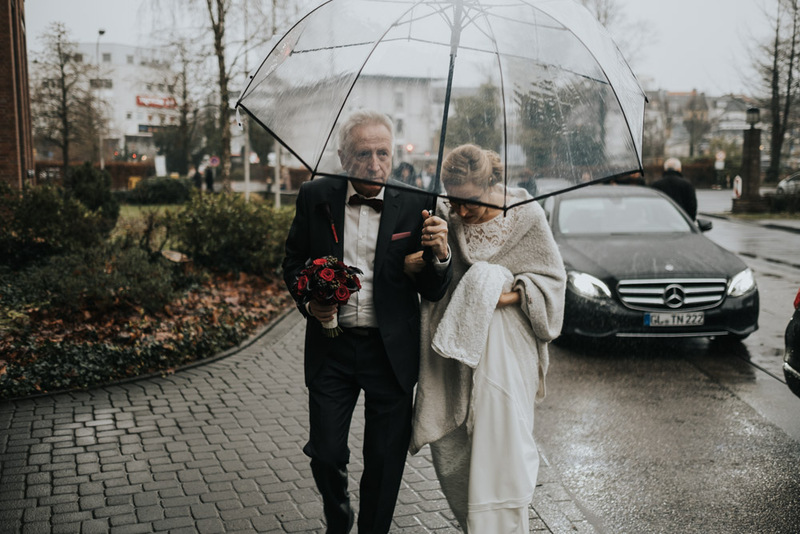 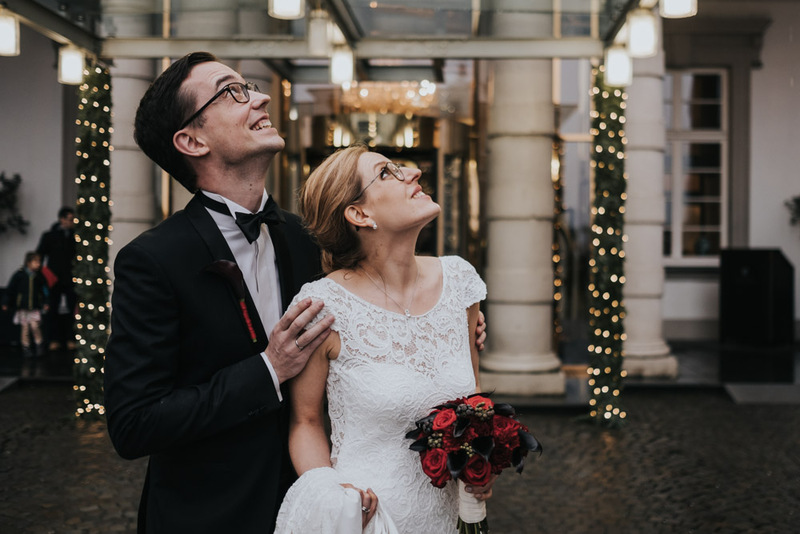 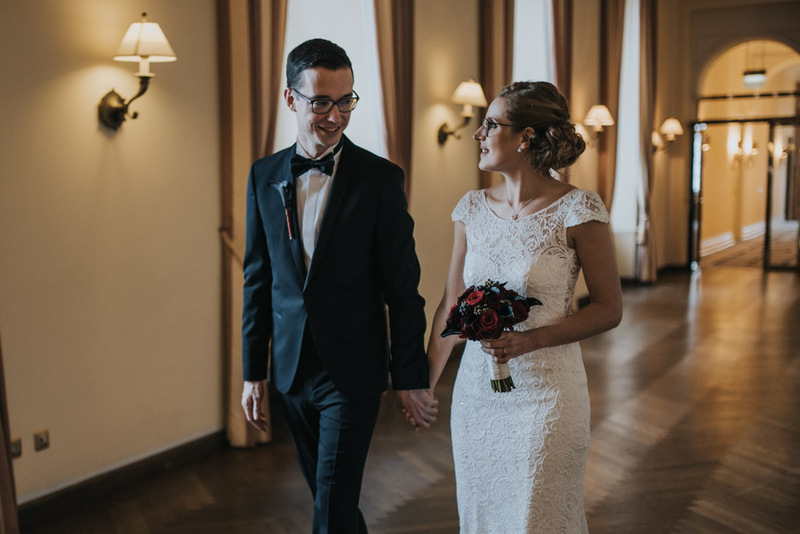 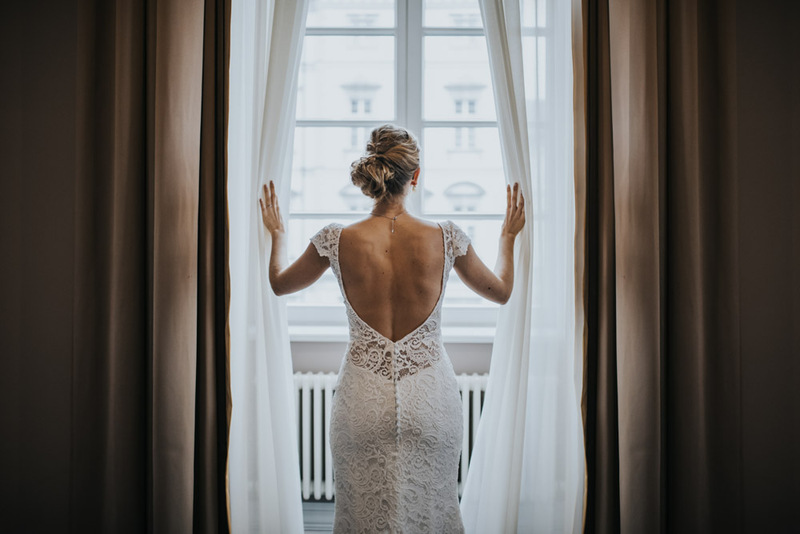 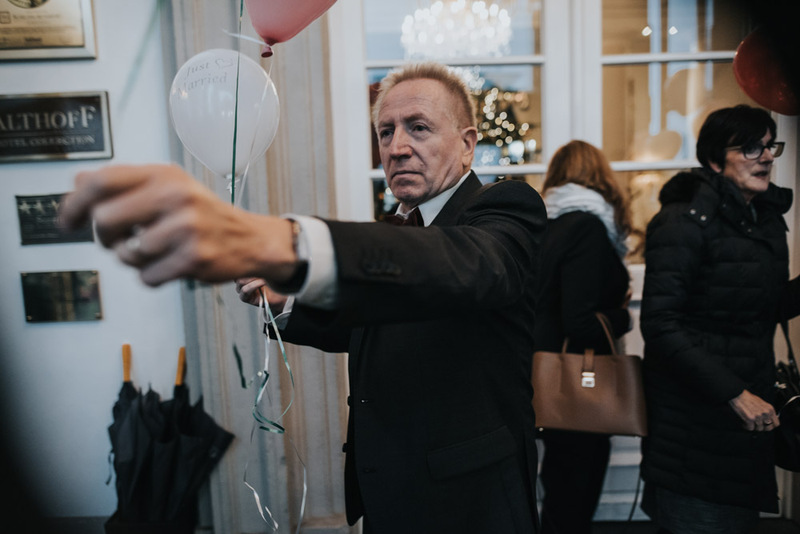 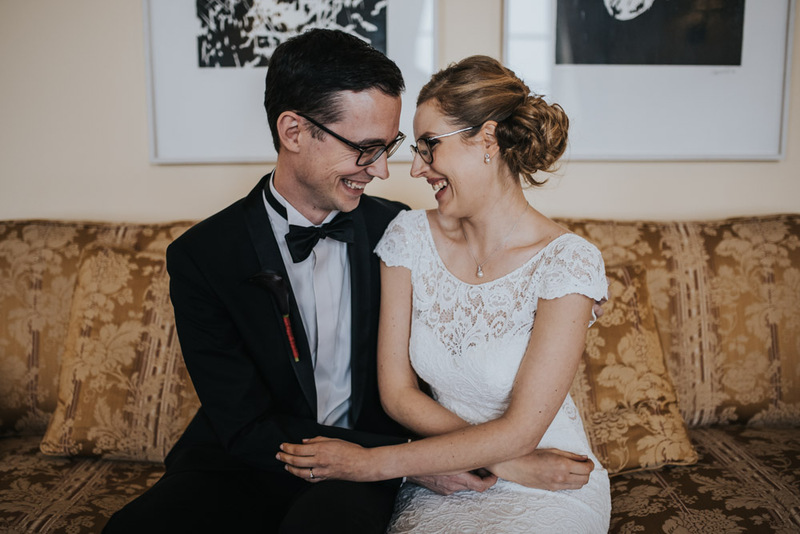 Back at Schloss Bensberg they celebrated with their loved ones in the Chambre Separée of the hotel and enjoyed their big day to the fullest.